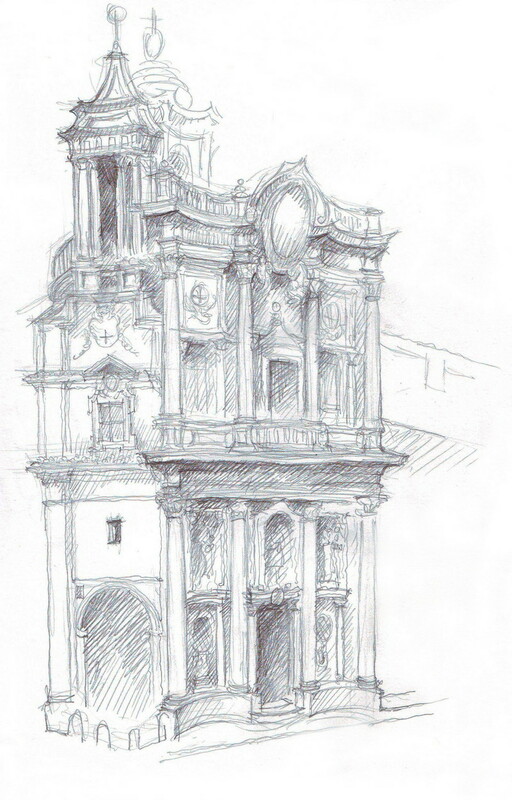 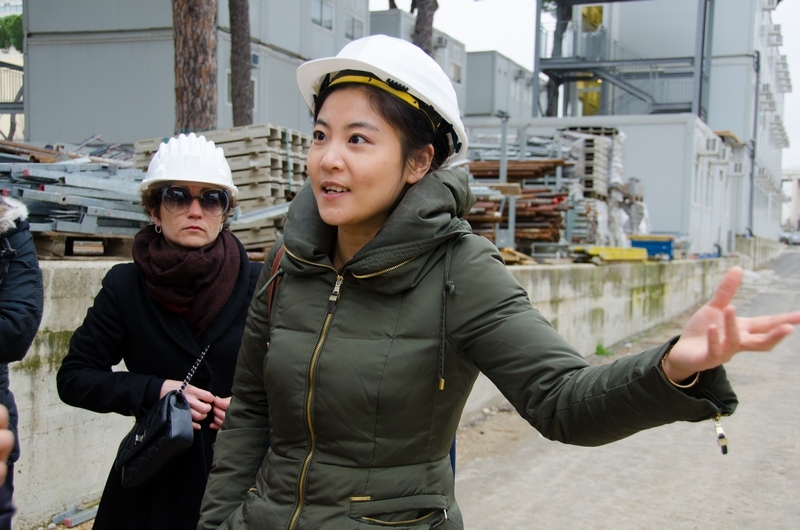 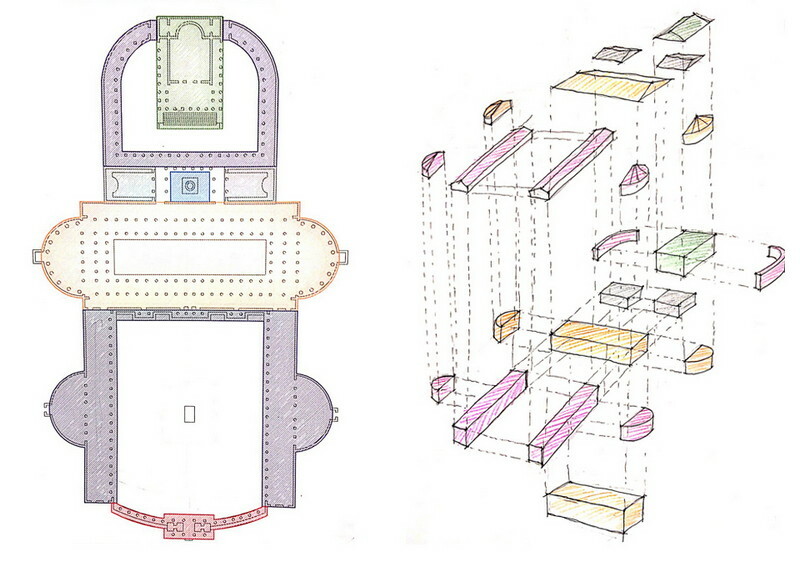 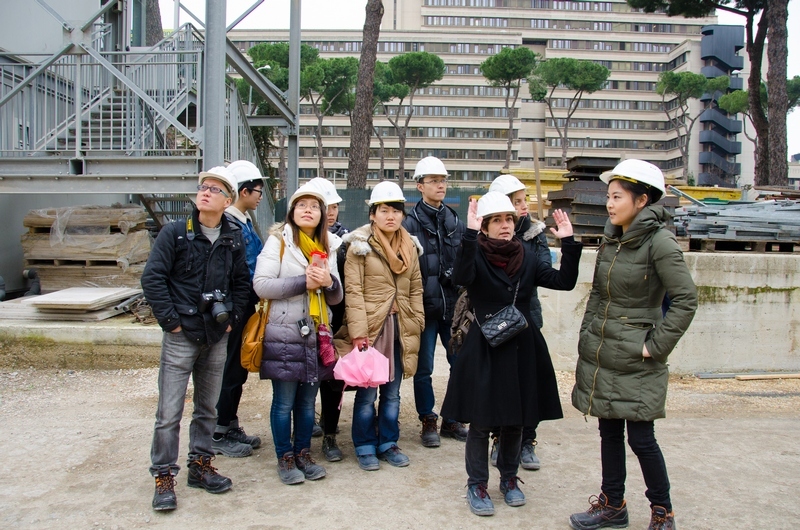 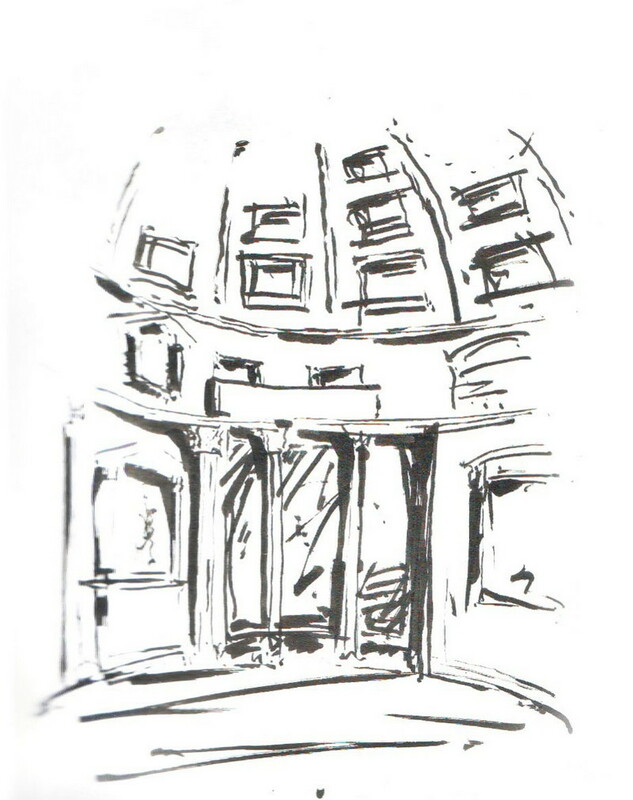 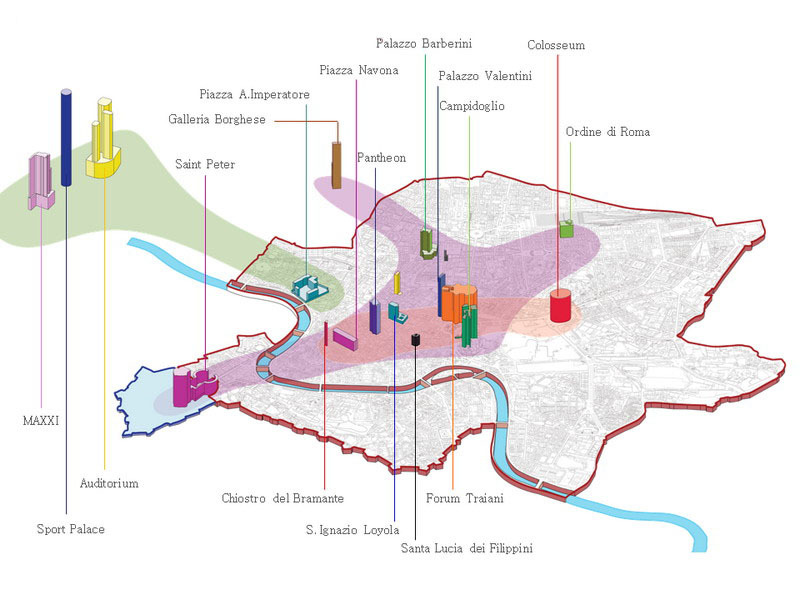 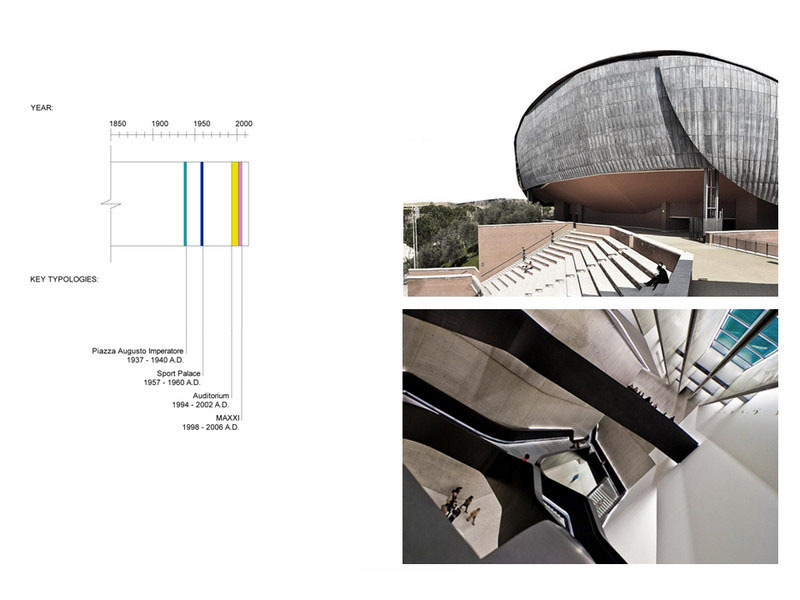 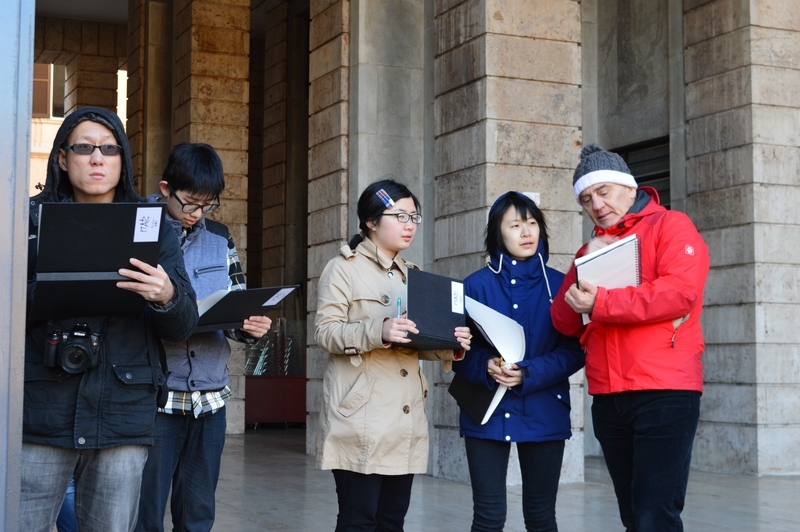 Italy Top Architecture Drawing Study Tour – 13th to 29th January 2014 – is a two-week freehand drawing and architecture/urban design analysis course conducted entirely out-of-doors; it is an opportunity to discover Italian architects,designers, artists by living the city of Rome. 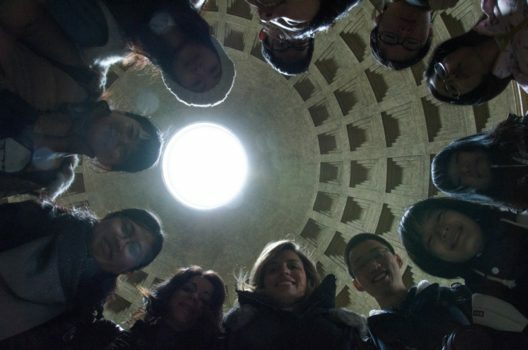 You will have an in-depth experience of Italian culture, architecture, cuisine, arts that will contribute to live and understand the real “Made in Italy”.The course has the patronage and will be supported by the most prestigious Italian University – La Sapienza – Department of Architecture, the University of Naples – Federico II – Department of Architecture and the Roman Institute of Architecture – OAR -. 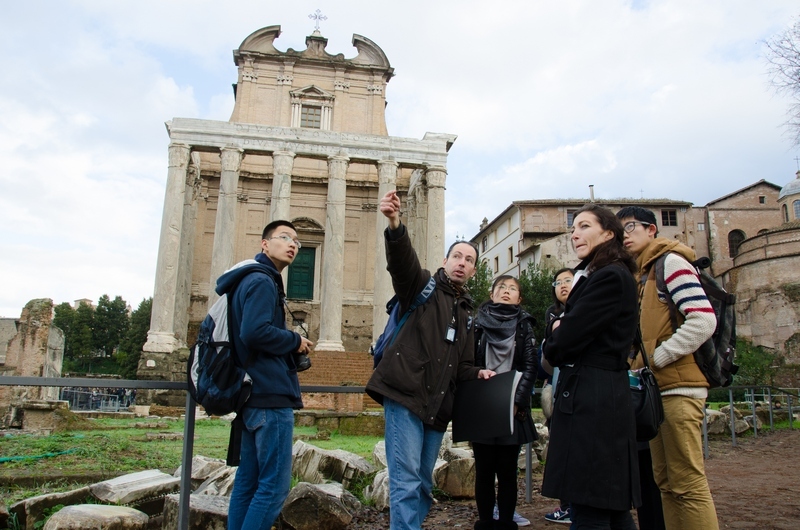 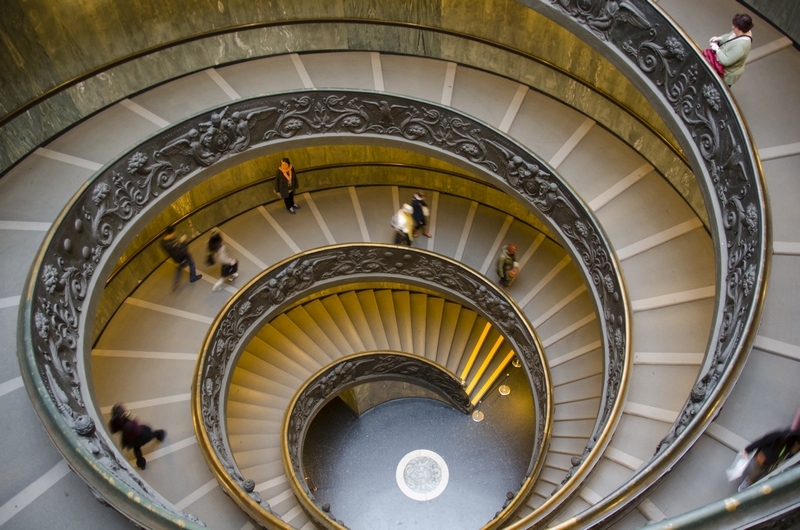 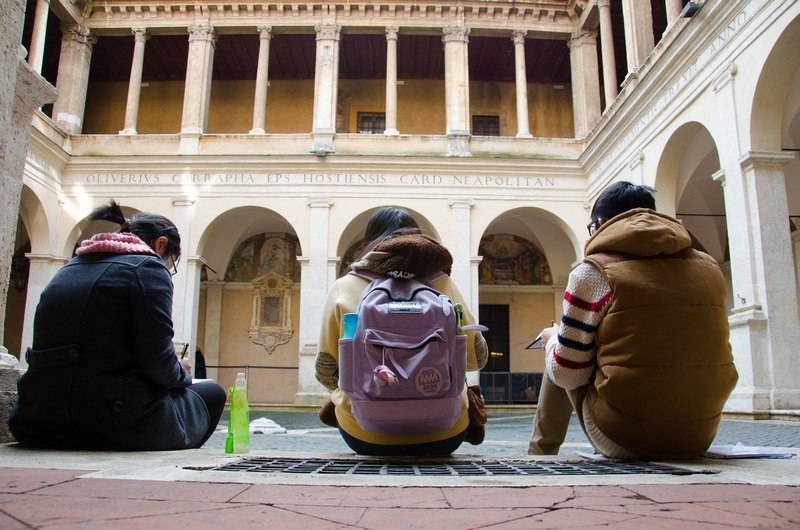 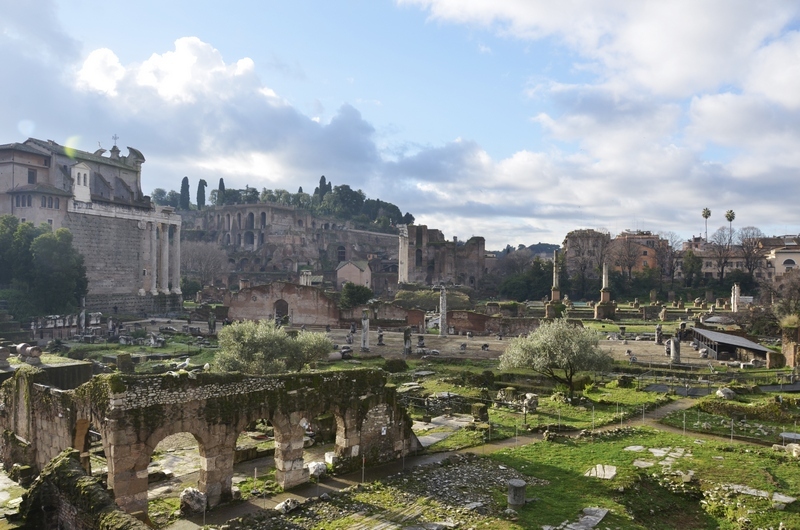 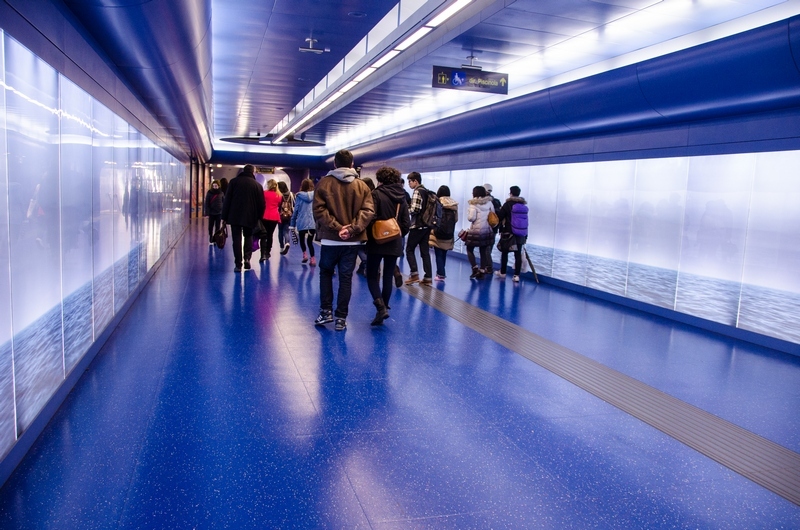 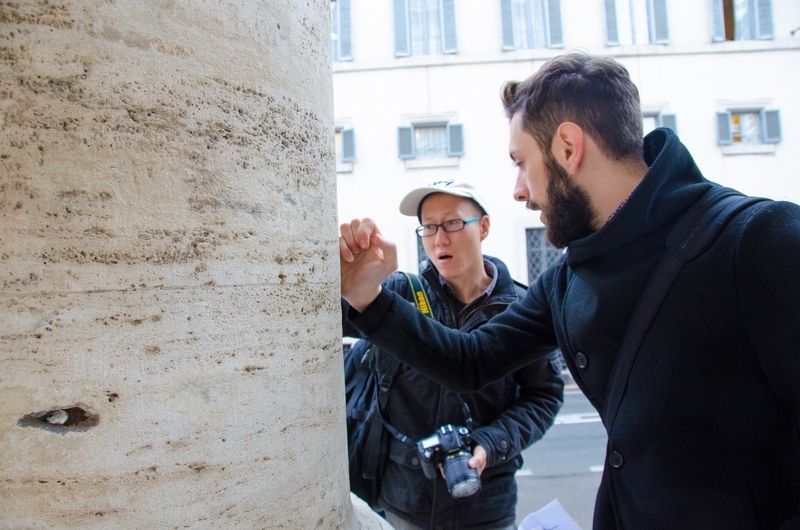 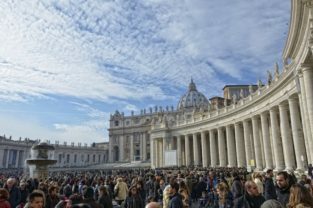 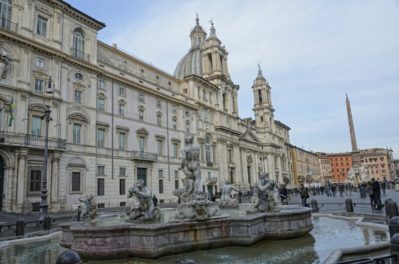 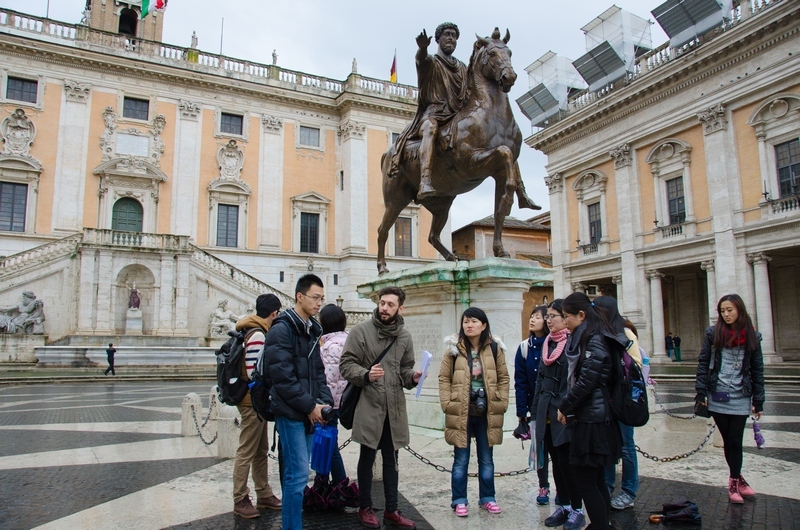 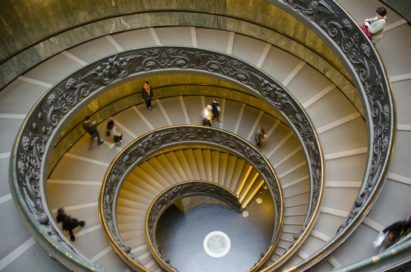 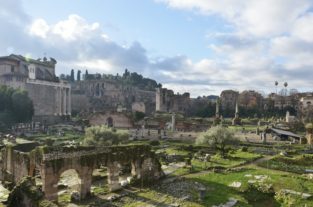 Students will be introduced to the city of Rome by local architects, archeologists, artists and professors in daily walking tours to study the streets, spaces and buildings by direct experience. 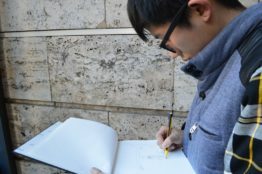 Each designer will keep a sketchbook to develop understanding and to record their discoveries and analysis of design. 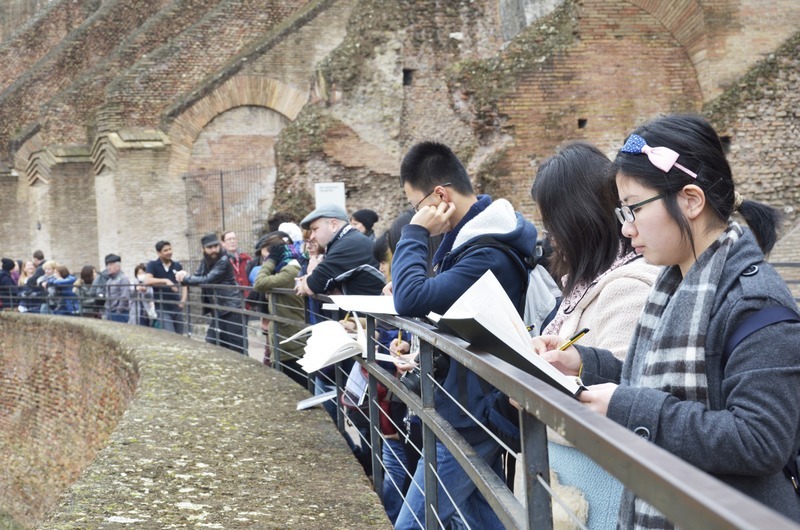 Outdoors sections are dedicated to observational drawing, in directed classes at the most exciting architectural locations within Rome. 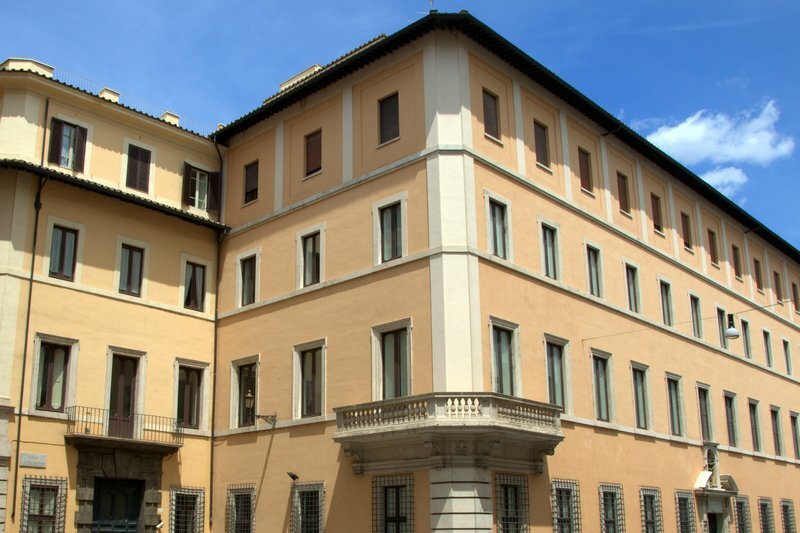 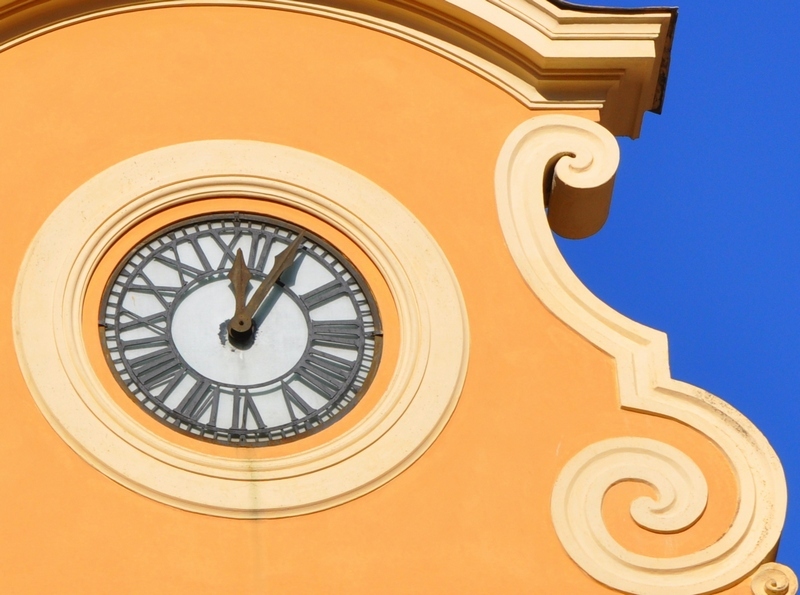 The Opening and Closing Cerimonies will be held in the reowned Architects of Rome Institute Building, as well as the main lectures with invited famous Professors. 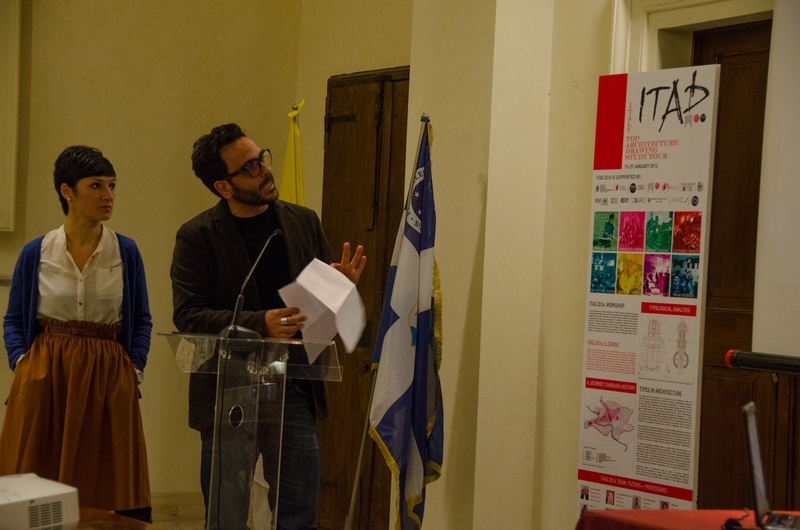 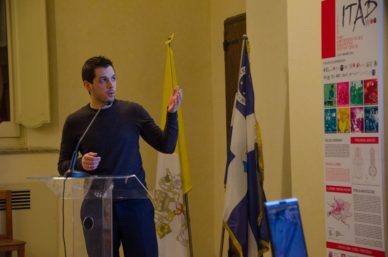 These will be an opportunity for the students to present their work in a famous context and to network with Italian professors and professionals. 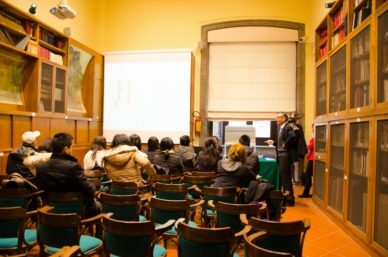 In the closing cerimony, an official certificate of attendance will be handed out to testify the successful completion of the course. 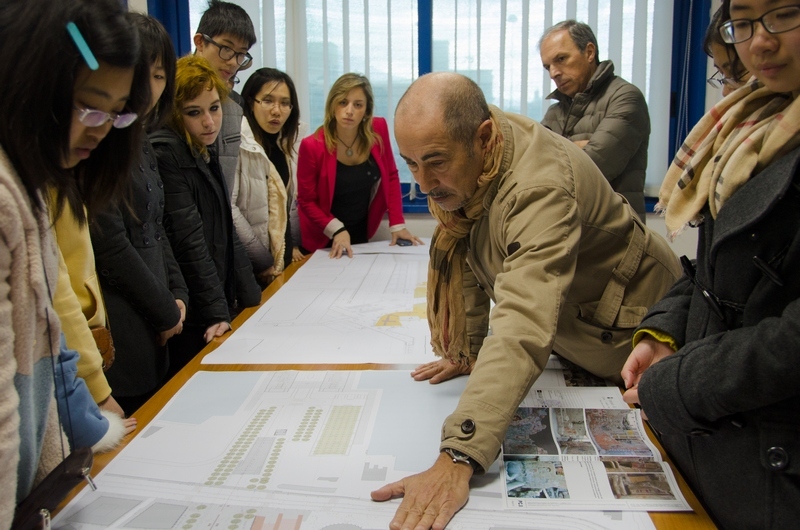 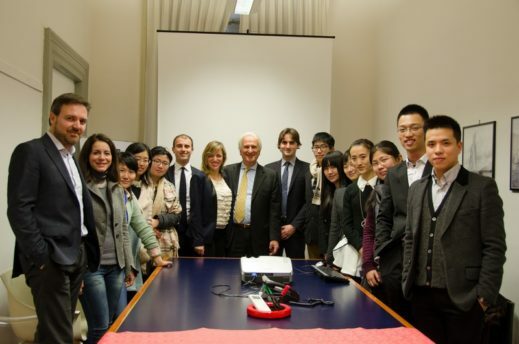 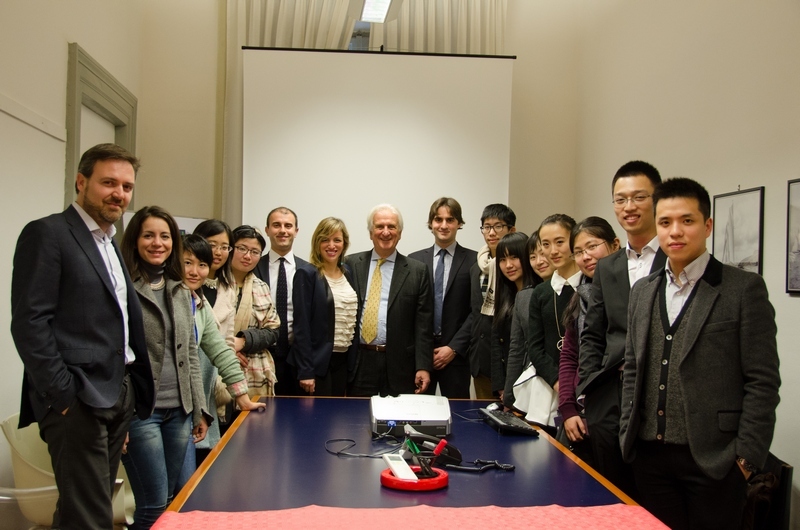 Furthermore, the students will have the opportunity to visit international famous Italian Architecture & Design Companies to discover and meet the Italian design industry.The aim is to encourage interaction with the Italian Companies, local designers, architects and artists in order to open work opportunitiesfor the future. 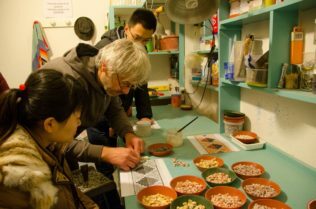 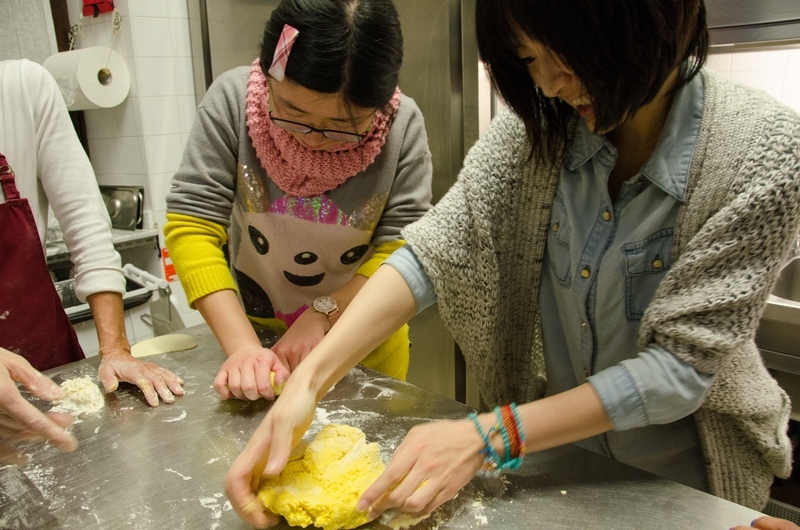 A fantastic social program is provided parallelly to the drawing courses on a daily basis with 2 exceptional day-trips to Naples and Aquila. 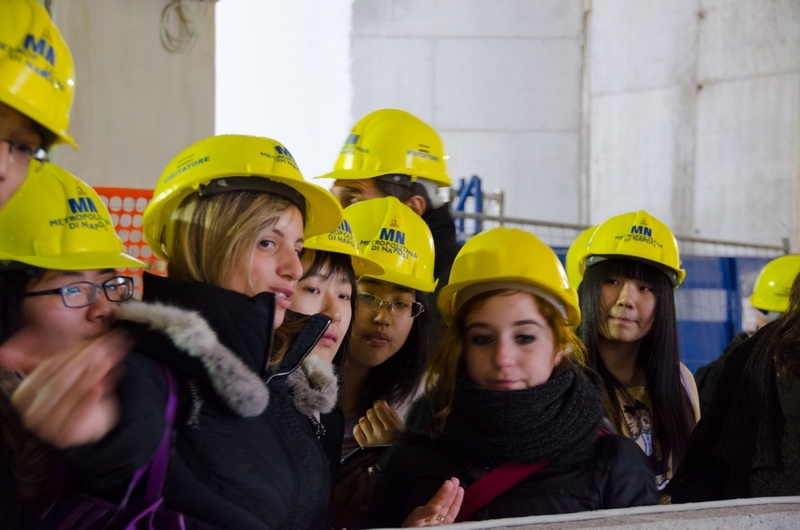 The program is designed for the students to have the opportunity to discover as much of Italian culture as possible, as well as thoroughly enjoy their time in Rome making great memories with new friends, professors and architects. 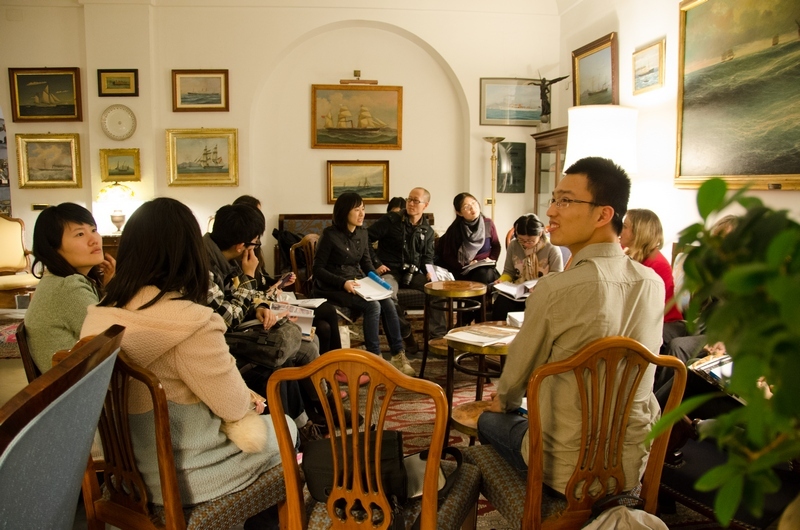 • Obtain an official certificate of attendance to the course to enrich the CV. 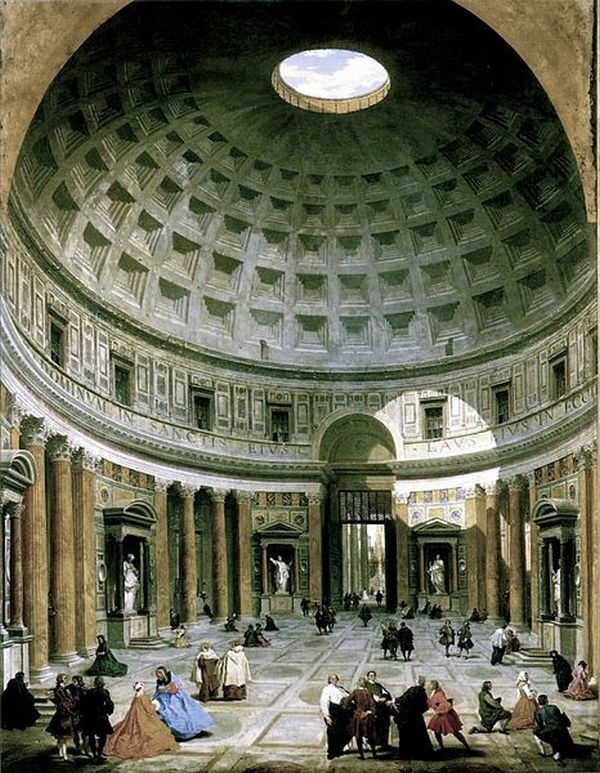 Centuries: 200 B.C. until present 2013 A.D.
Interwoven into each day are two types of drawing problems and assignments. 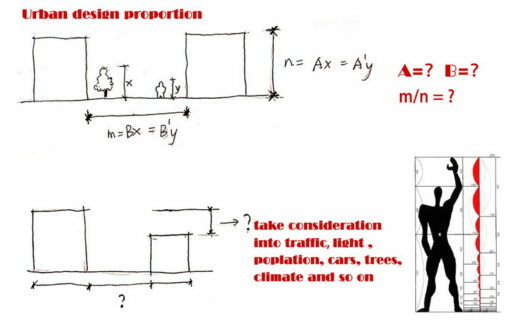 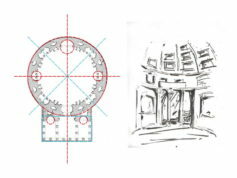 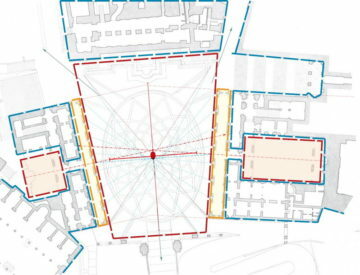 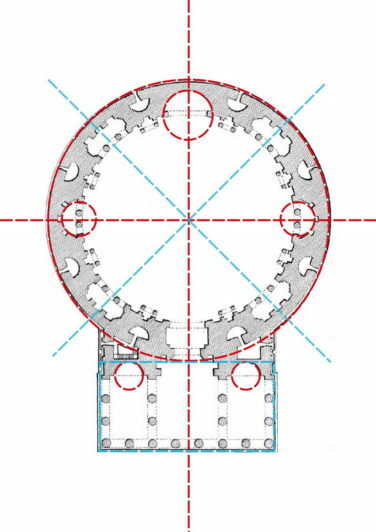 One kind of drawing made from observation will be that of plans, elevations and sections found in streets, spaces and buildings, conducting their measurements with proportional scaling by ‘pacing’ and by ‘pencil’ measurement. 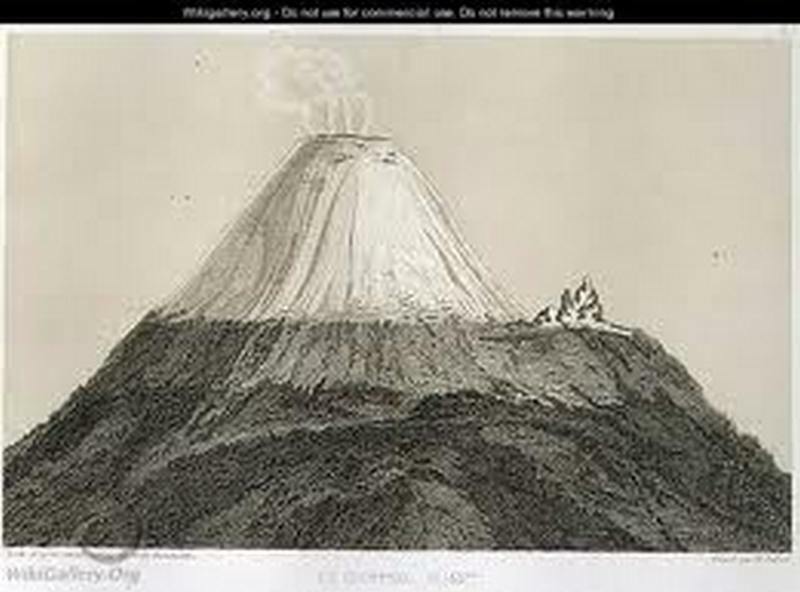 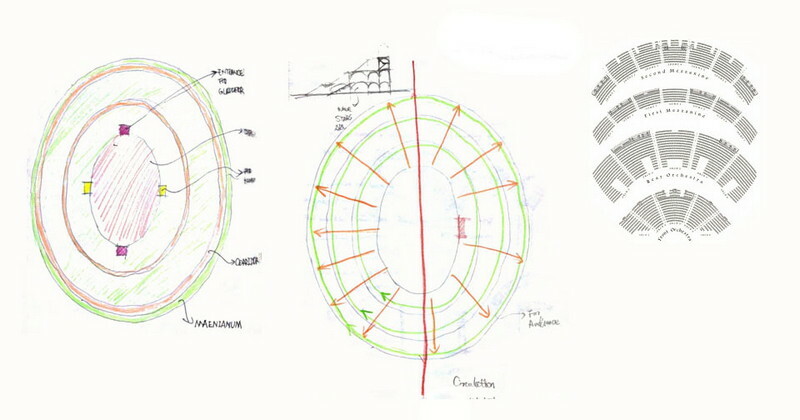 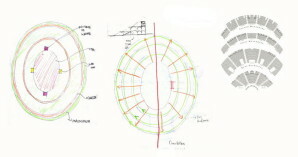 The artist professor will teach this form of record which is augmented by perceptual drawing. 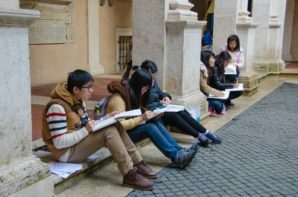 Students wil understand the problem of placing the total experience of a motif, or view, on the page with the reductive means of drawing. 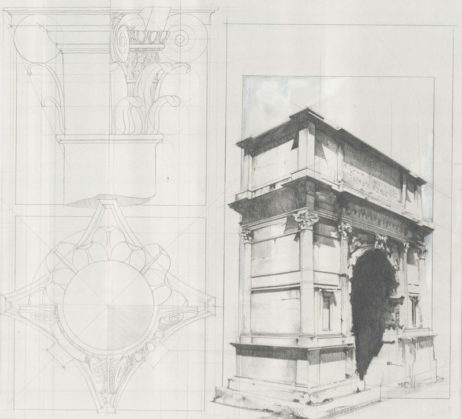 Issues of verisimilitude, light, materiality, proximity, visual groupings, composition and visual structure will command the attention of the draftsperson and teach the complex art of seeing. 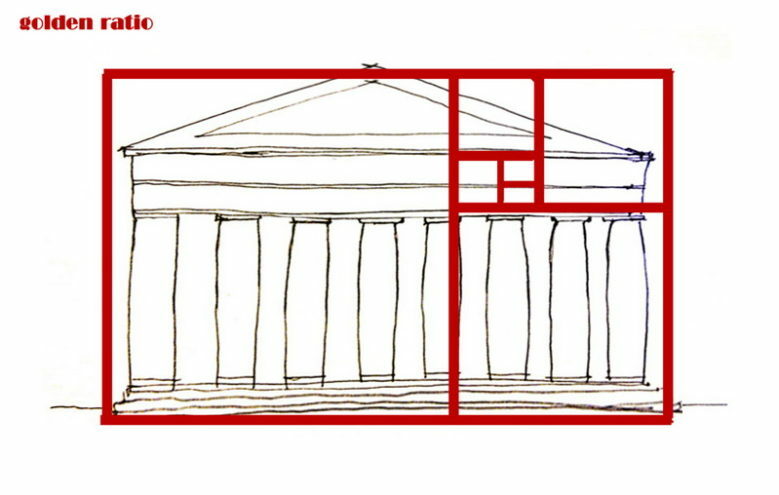 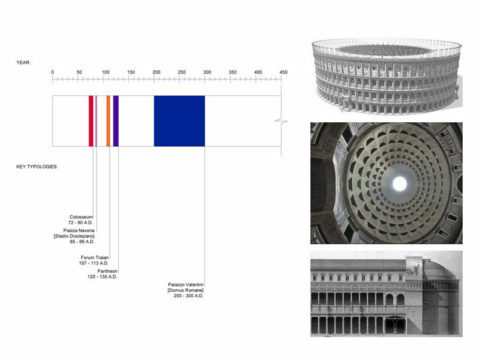 This method is to aid the student in the discovery of architecture’s complicity with the perceptual ordering of the environment which Roman architects have long exploited. 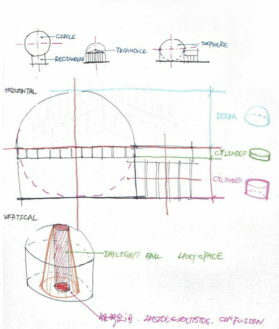 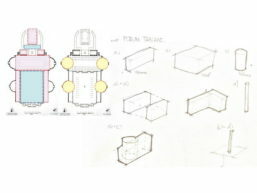 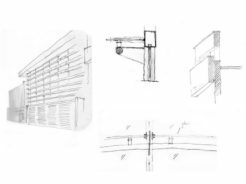 Drawing from observation, in combination with architectural drawing of plans and sections, gives the student an inventoryof the behavior of architecture that is both analytical and perceptual. 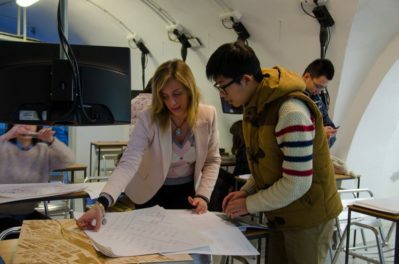 Each student will have 1 to 1 tutorials with the course director to show their findings, improve the techiniques and drawing skills both on-site and before pin-ups. 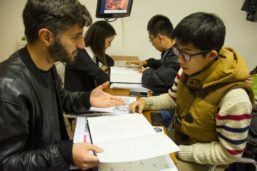 Group pin-ups sessions will be held periodically so that students can present their work to the class and discuss their improvement. 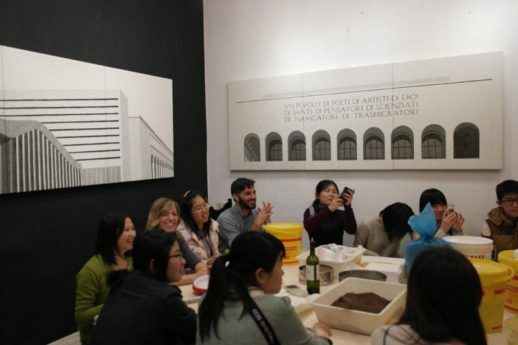 In the closing cerimony, the best students’ work will be selcted to be officially presented in the Architects of Rome Institute and if extravagant, will be published in architectural journals. 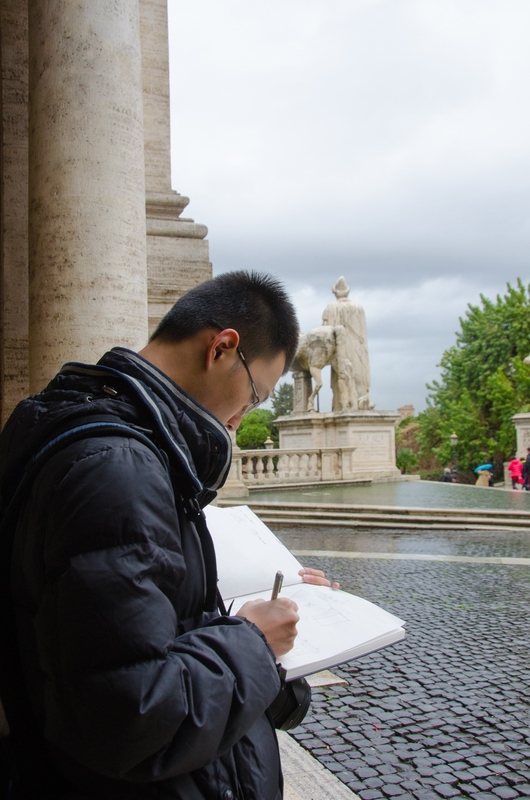 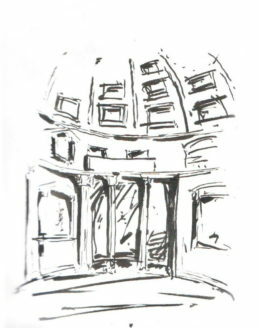 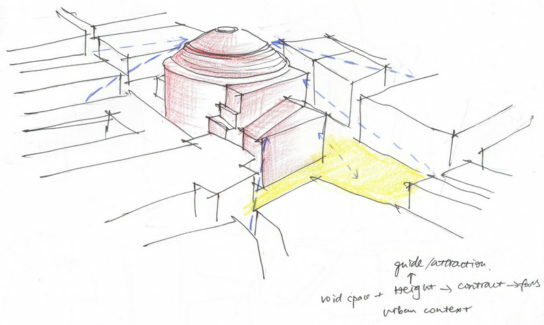 Drawing sessions are key part of the ITAD experience as this is the way to learn and breath in the Architectures and Spatial Sequence of the sites of Rome. 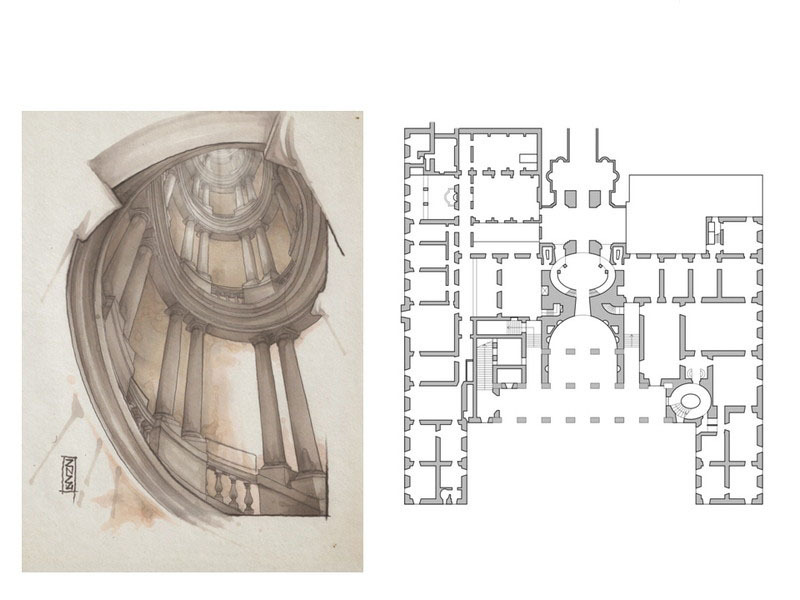 In each visit, the students will be asked to represent the Architecture Building in specific ways; either by representing the plan, the section, the elevation, the perspective, or a material detail or simply a construction detail (see below). 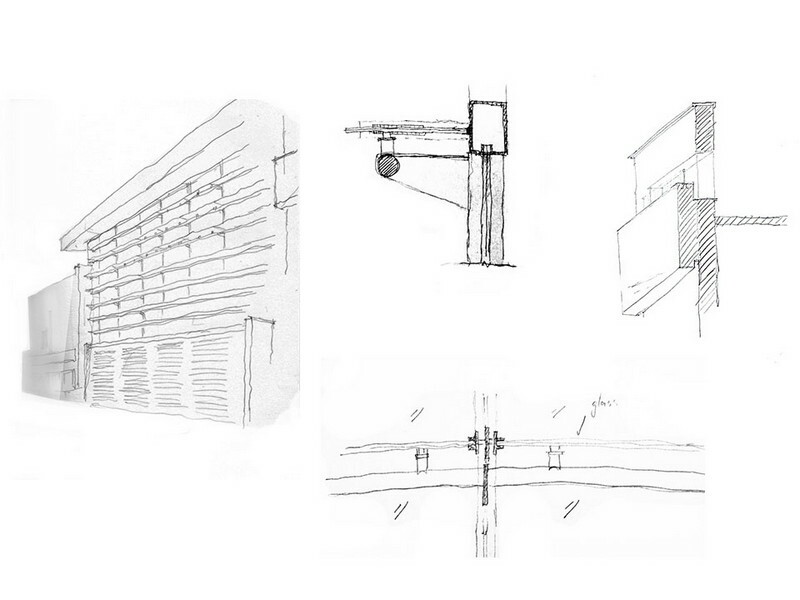 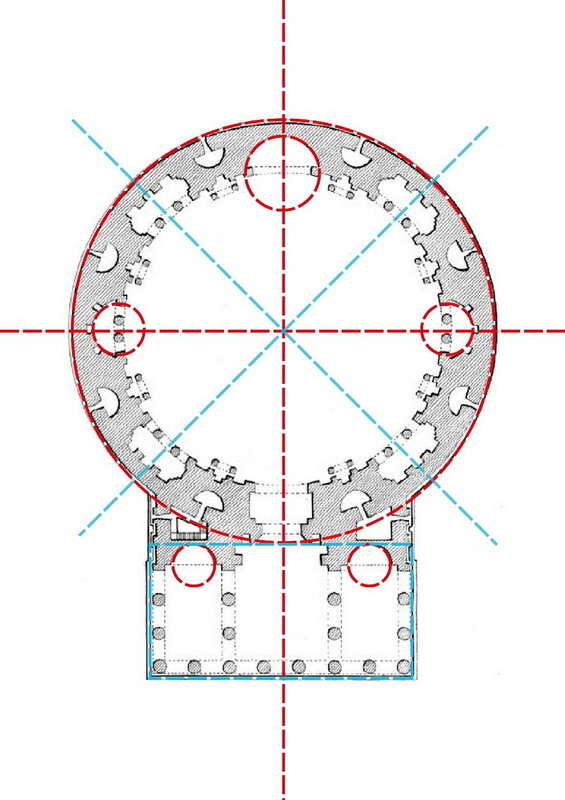 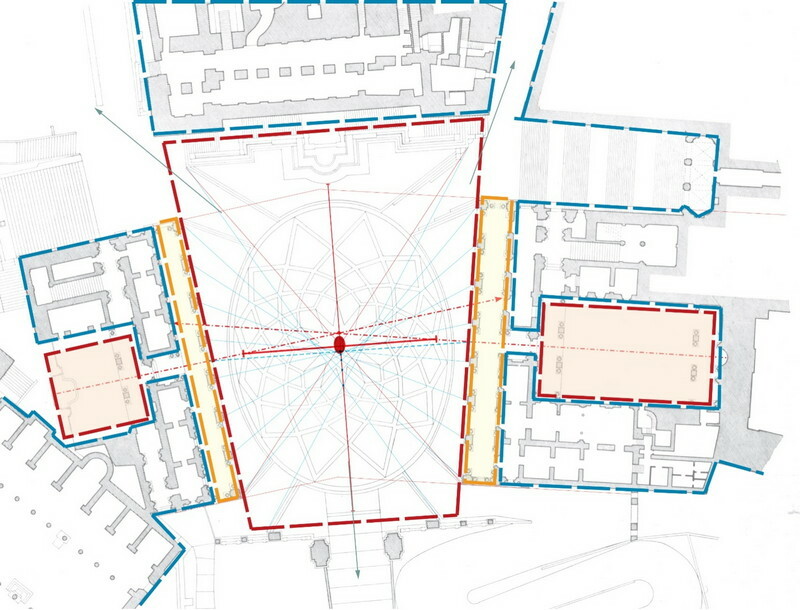 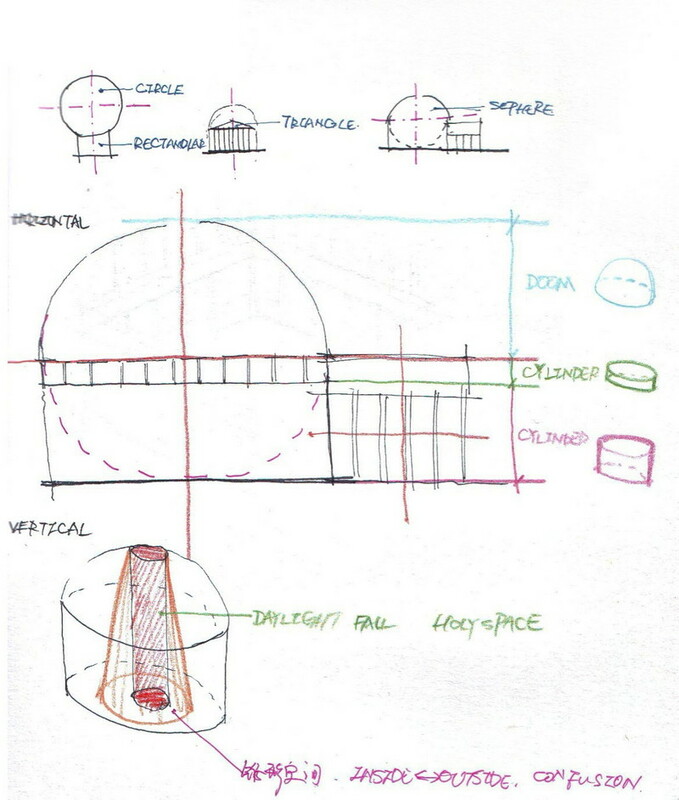 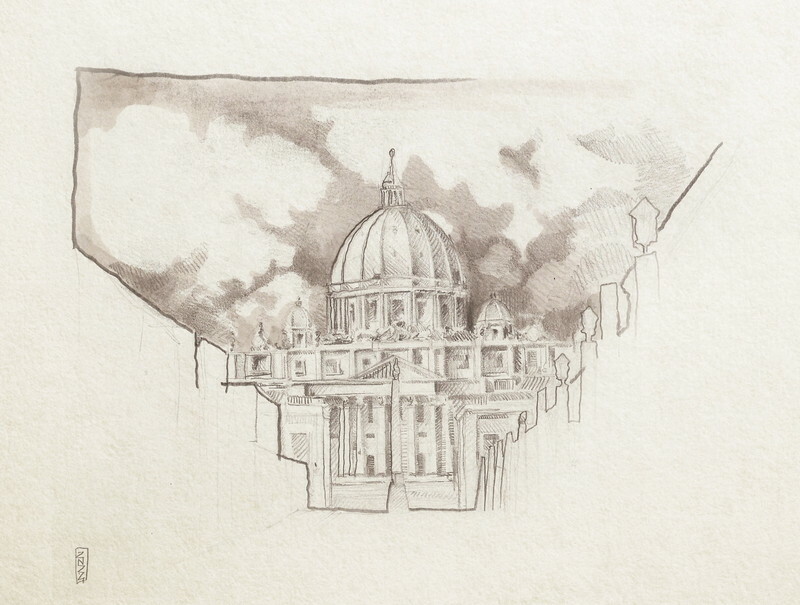 Through drawings, students will represent the tectonics of the building and its morphology. 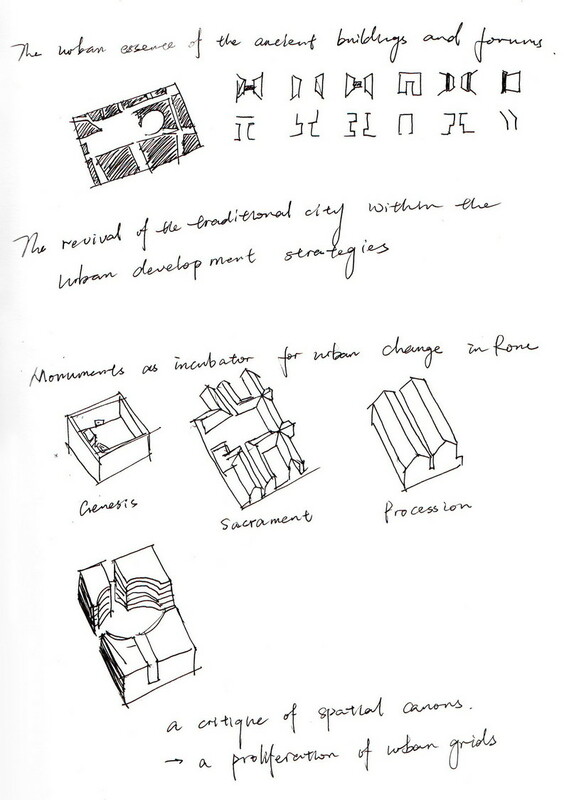 This is fundemental fo architects as after these sessions, the way to design buildings will change. 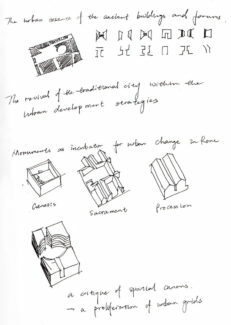 Through a deep understanding of past successful architectures, new projects will have more meaning and will tie in with the constructed city. 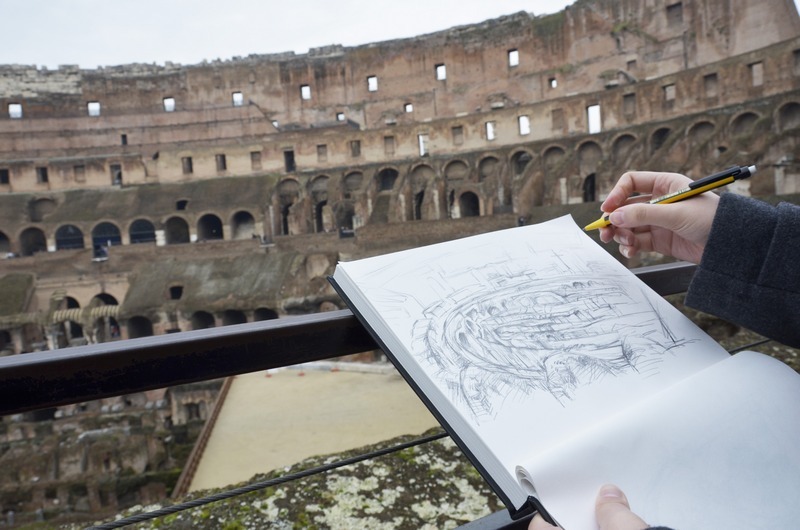 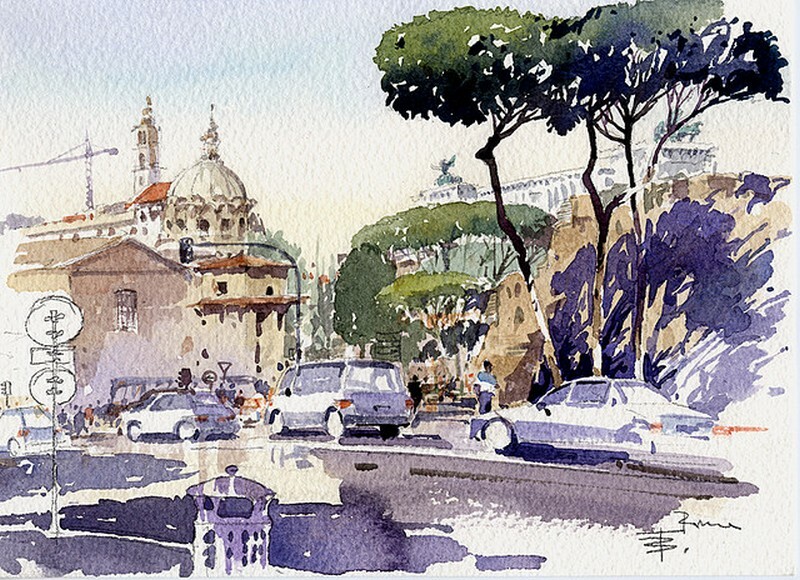 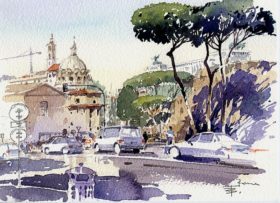 Rome has always been key destination for famous architects that won scholarships to stay in Rome for a year and to draw it. 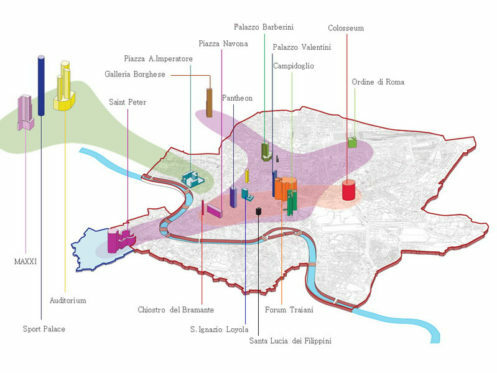 Louis Kahn, Richard Meier, Robert Venturi and other key architects have visited Rome, also the famous “Prix de Rome”in the French Acedemy in Rome is still active. • for publication in “I Quattro Libri dell’Architettura”. 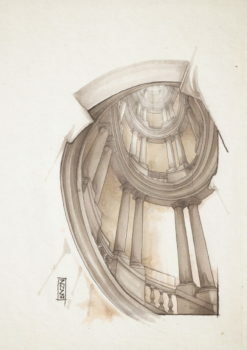 Drawing was key to his work as an architect. He drew while travelling in Europe, especially in Italy, producing a large volume of field notes.He also made copies of measured drawings by other architects. 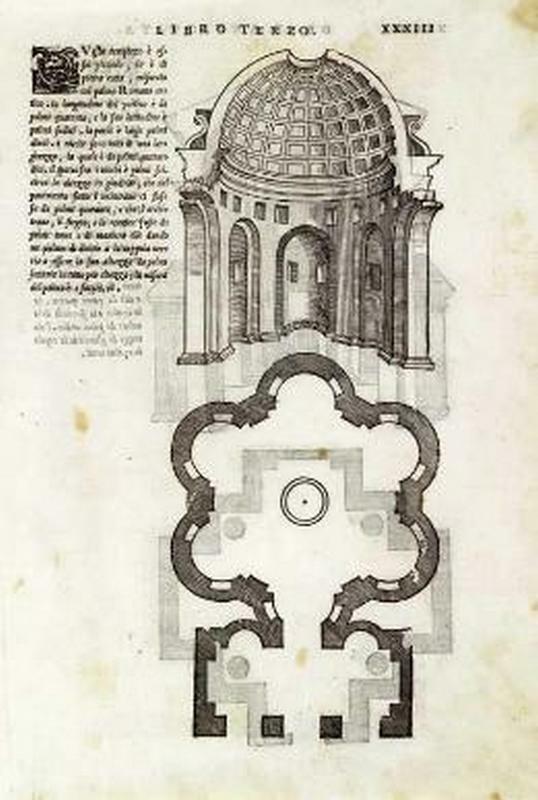 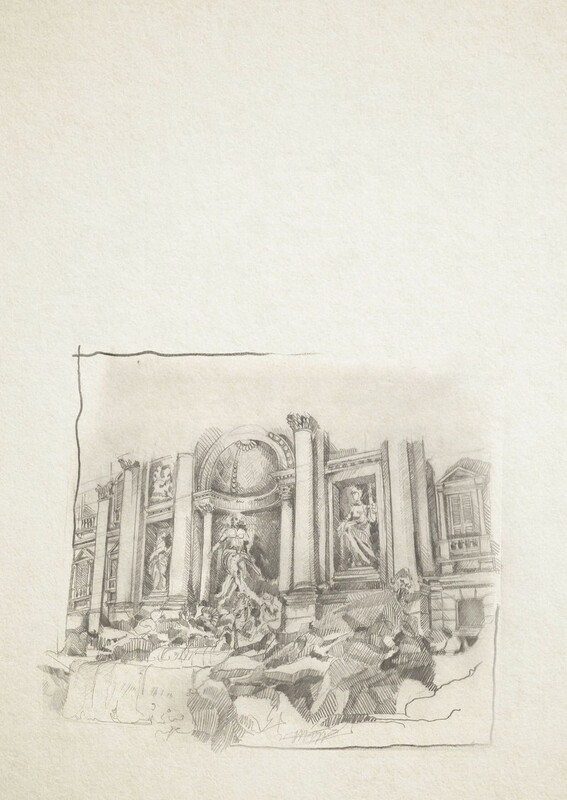 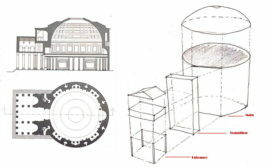 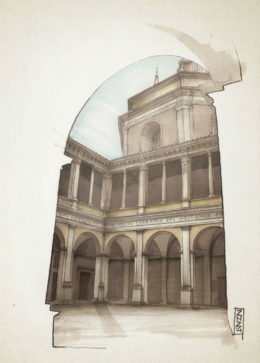 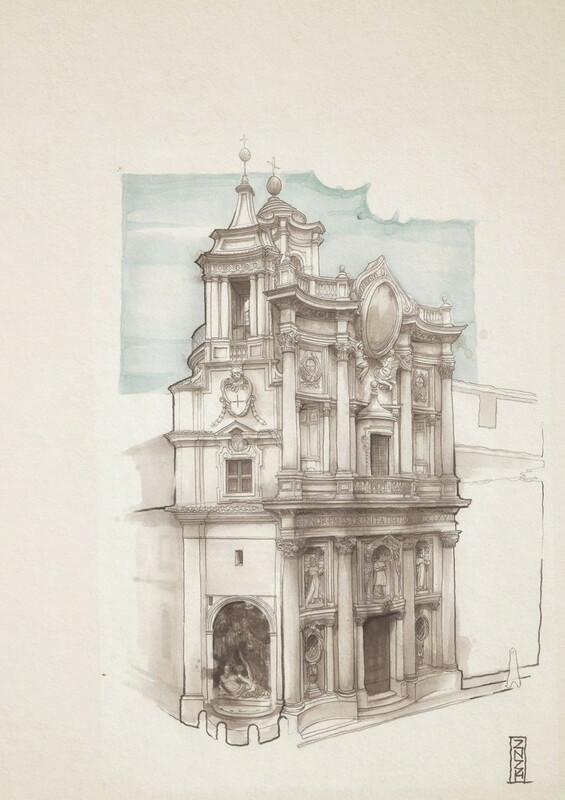 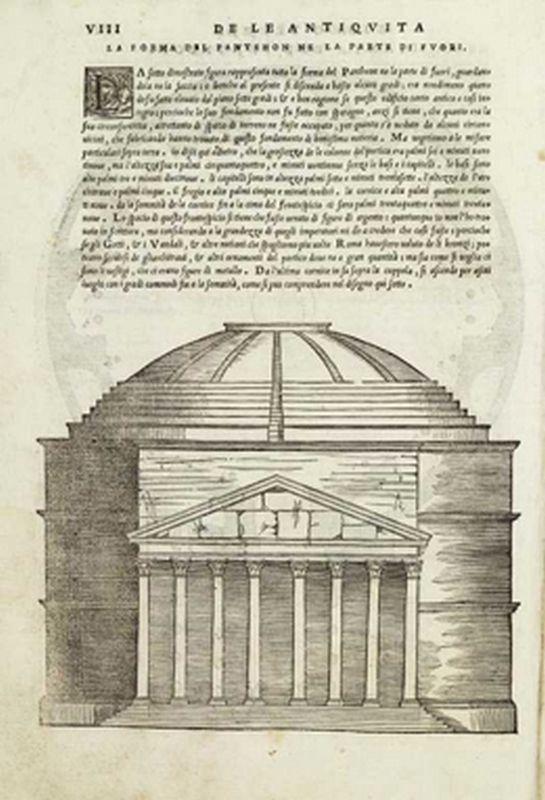 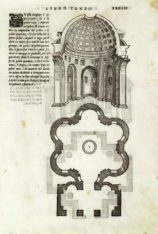 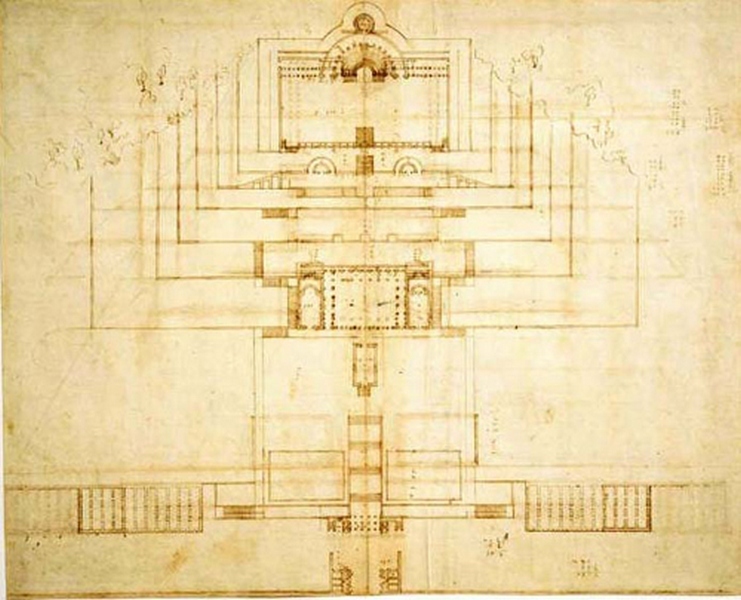 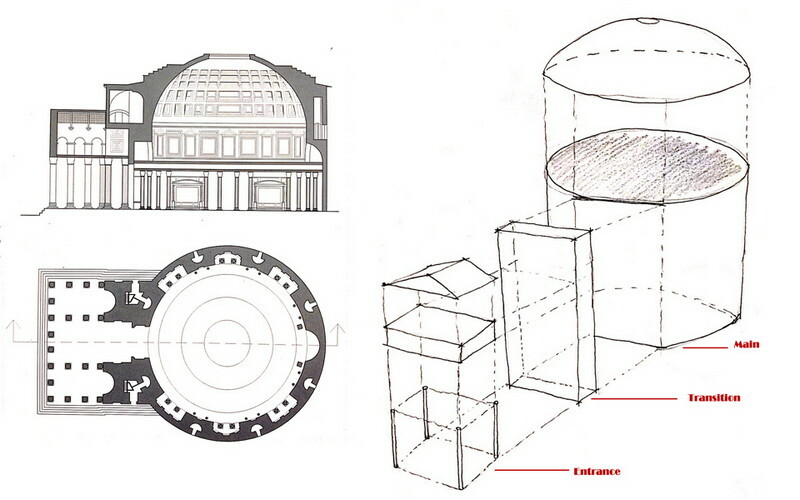 Most of the drawings by Palladio are studies of Ancient Rome. 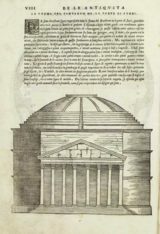 Palladio undertook five trips around Europe to study the various Roman remains under the guidance of Gian Giorgio Trissino (1475-1554). 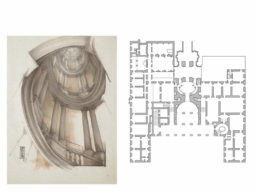 As a result he saw a broad range of ancient architectural styles, as well as contemporary architects at work. 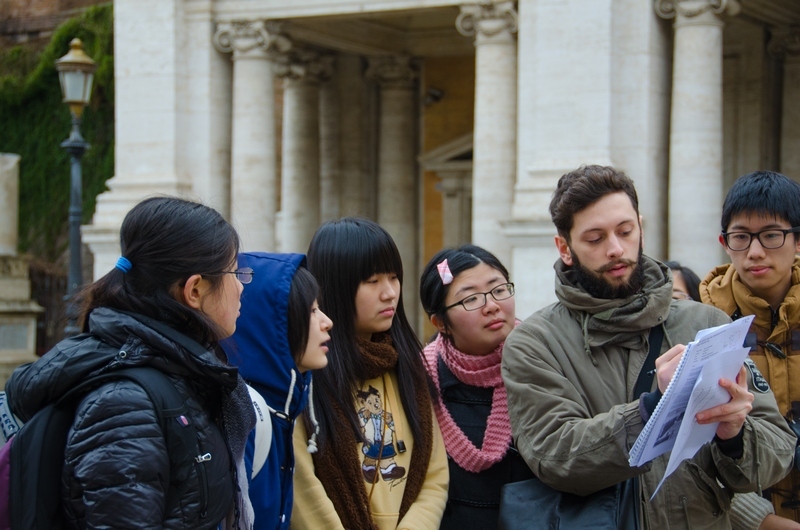 The students will repeat this same experience. 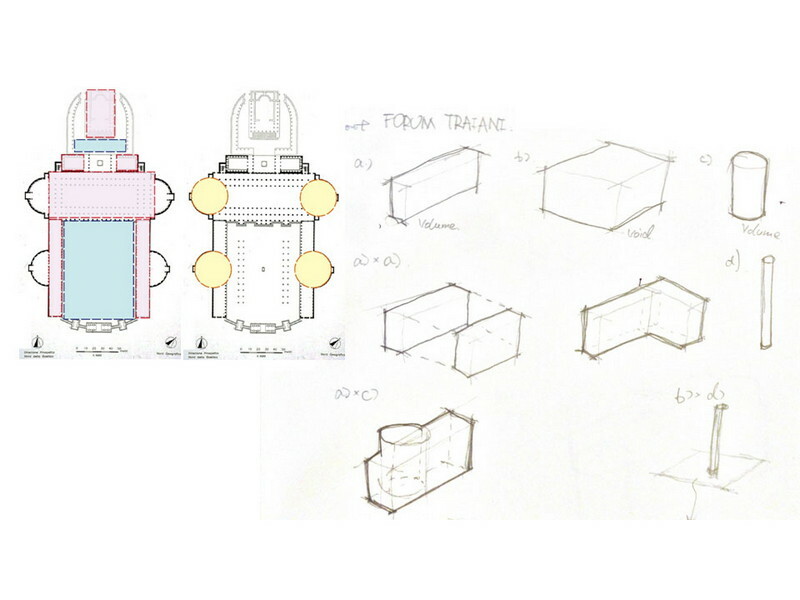 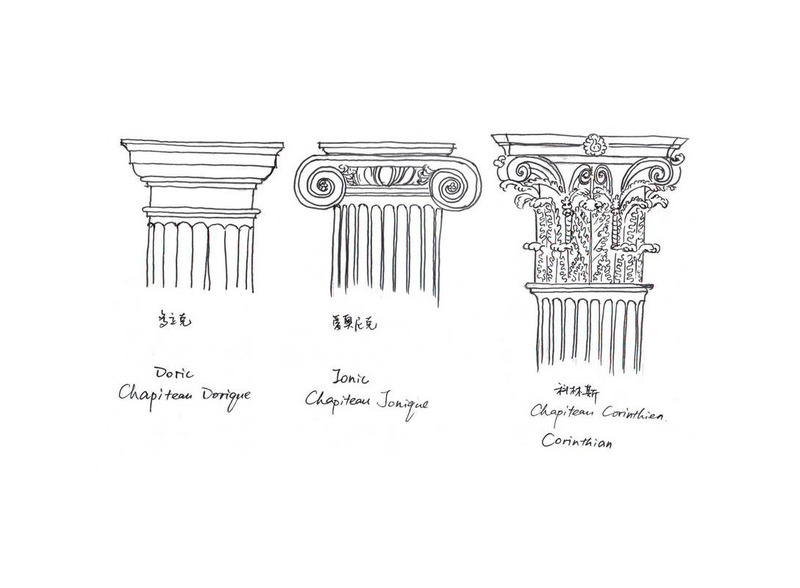 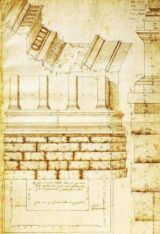 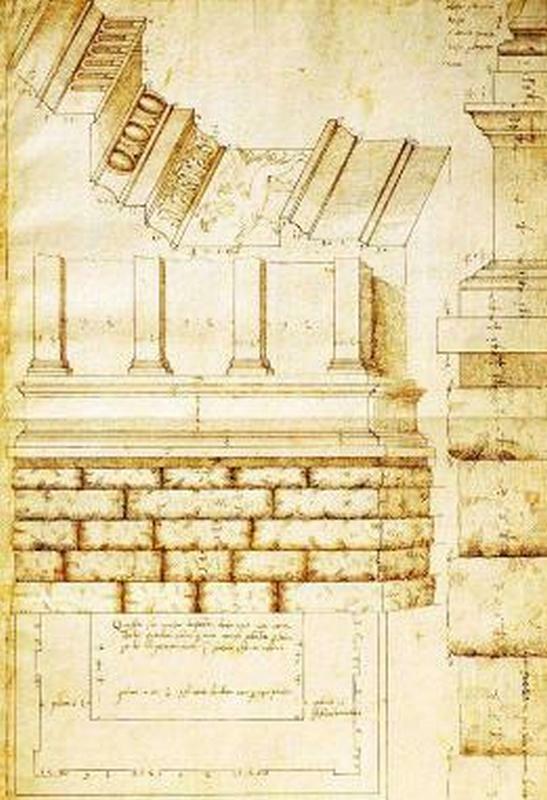 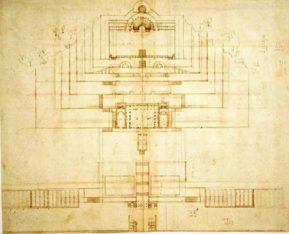 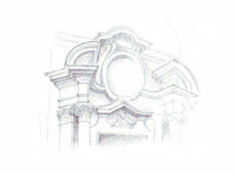 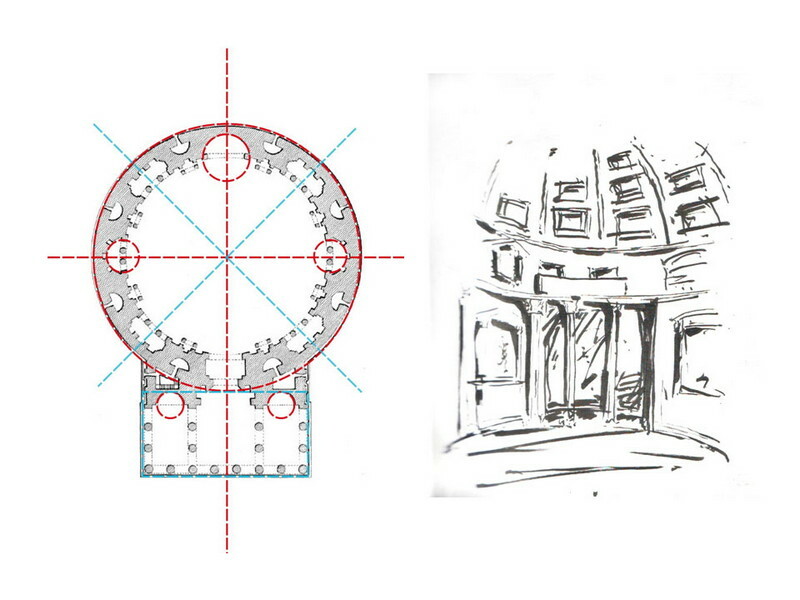 Just like Palladio, we will build up a collection of such drawings; with the use of elements of classical design at the heart of Architecture. 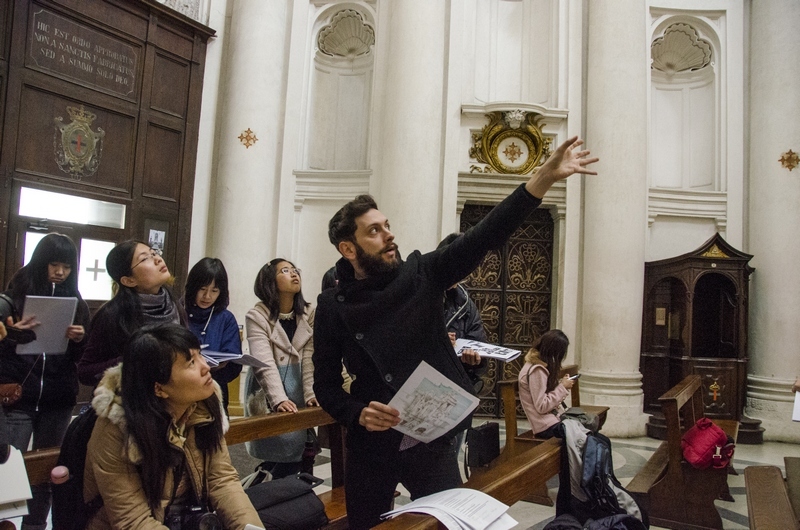 During the workshop, we will track history throughout the Renaissance of the fifteenth and sixteenth centuries, when many Italians aimed to recreate and even surpass the glories of Ancient Rome in literature, art, architecture and politics. 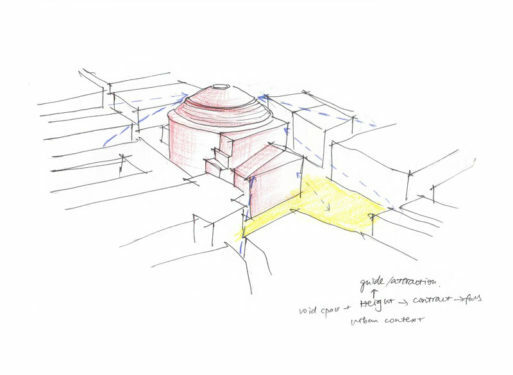 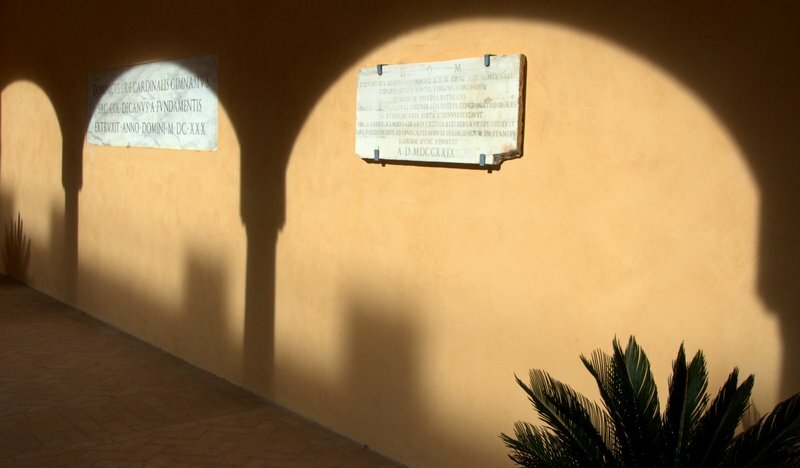 Across Italy, Roman-inspired buildings began to appear. 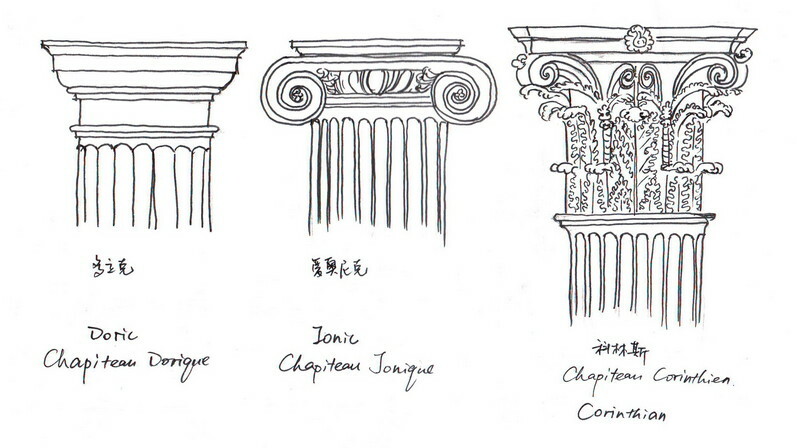 Palaces, churches and other public buildings featured columns, pediments and triumphal arches, inside and out. 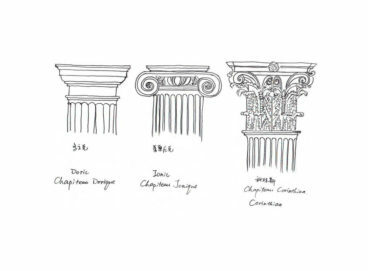 Modern architecture deliberately tried to look ancient to understand and repeat the classical style. 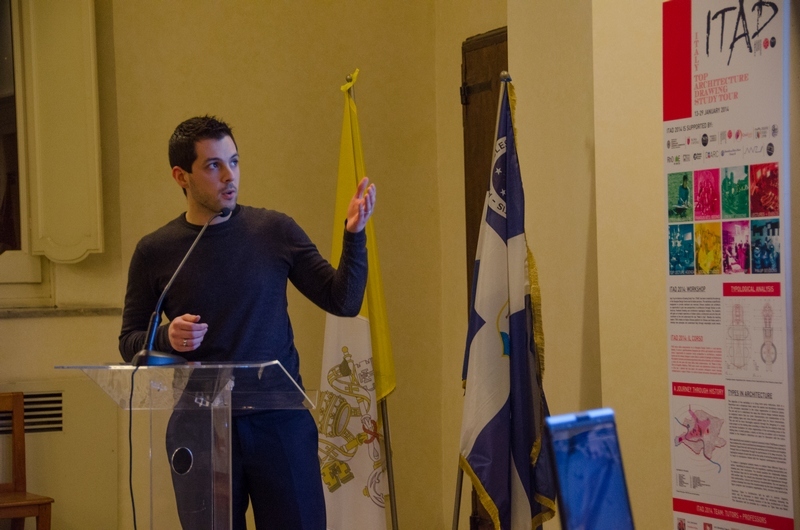 The students will learn the Classical Style to become better and more knowledgable Architects and use Rome Architecture as inspiration for their future projects. 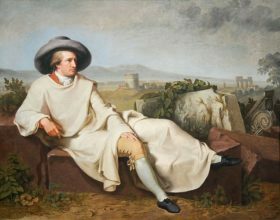 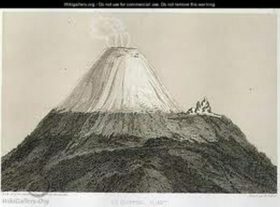 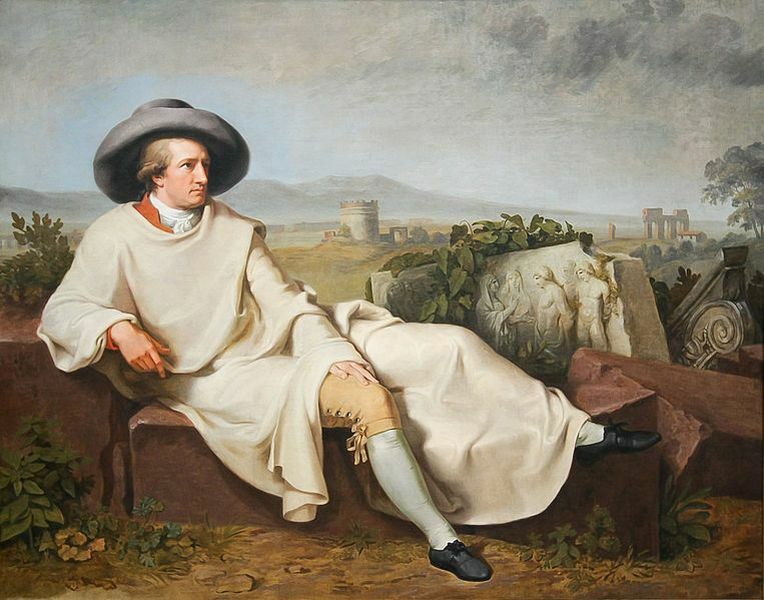 The primary value of the Grand Tour, it was believed, lay in the exposure both to the cultural legacy of classical antiquity and the Renaissance, and to the aristocratic and fashionably polite society of the European continent. 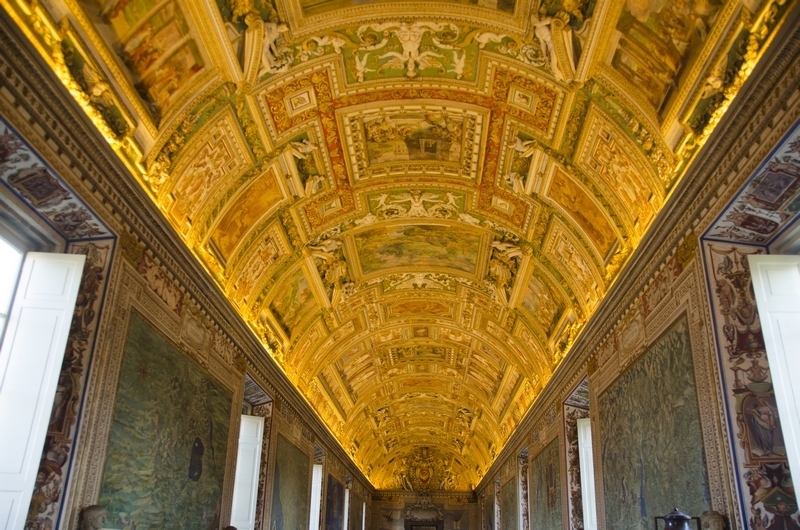 In addition, it provided the only opportunity to view specific works of art, and possibly the only chance to hear certain music. A grand tour could last from several months to several years. 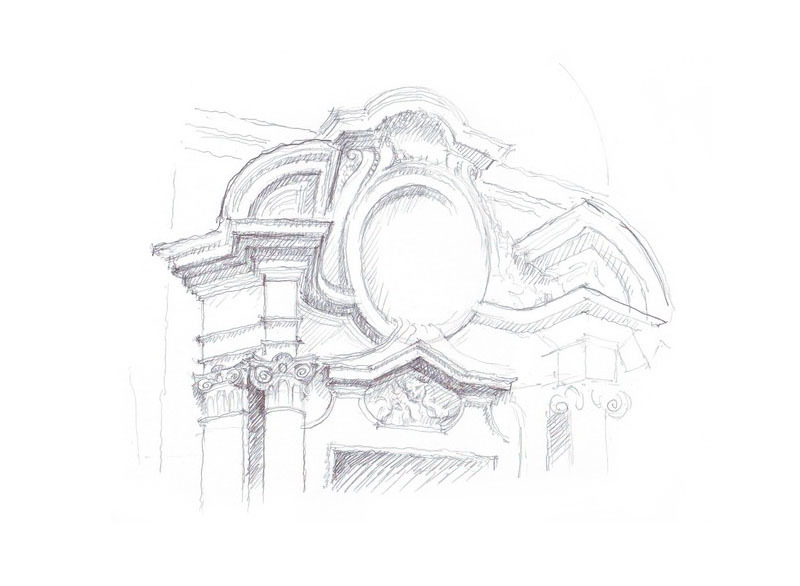 It was commonly undertaken in the company of a Cicerone, a knowledgeable guide or tutor. 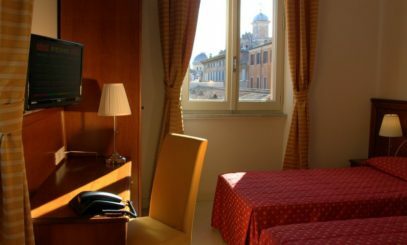 In essence the Grand Tour was neither a scholar’s pilgrimage nor a religious one, though a pleasurable stay in Venice and a cautious residence in Rome were essential.—Gross, Matt., “Lessons From the Frugal Grand Tour.” New York Times. 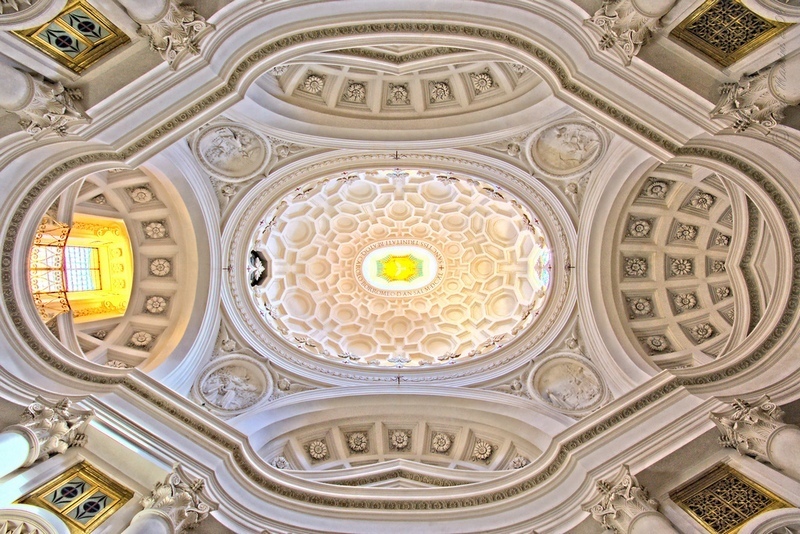 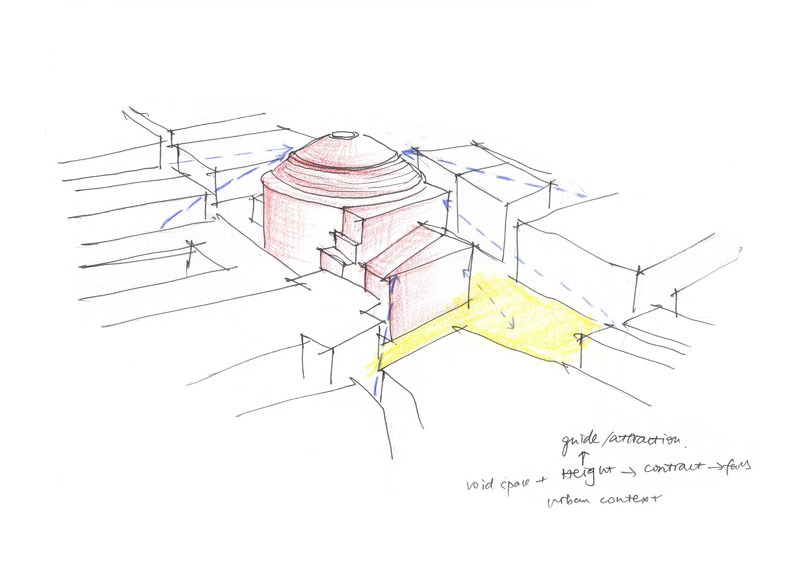 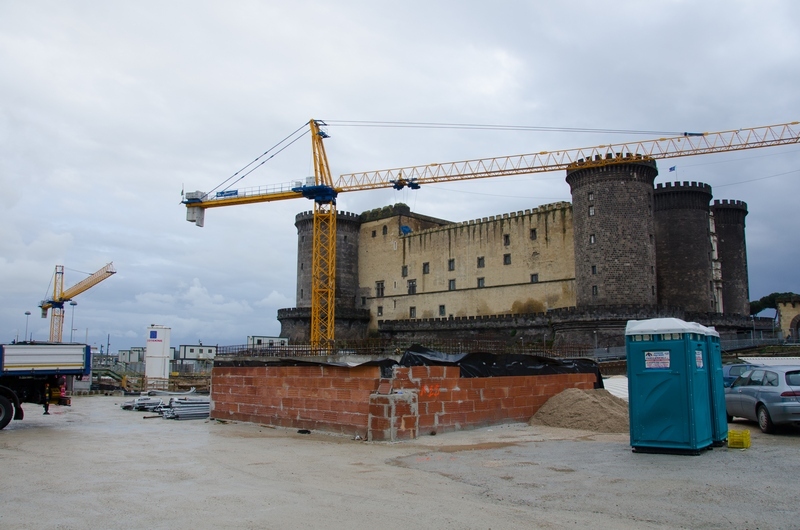 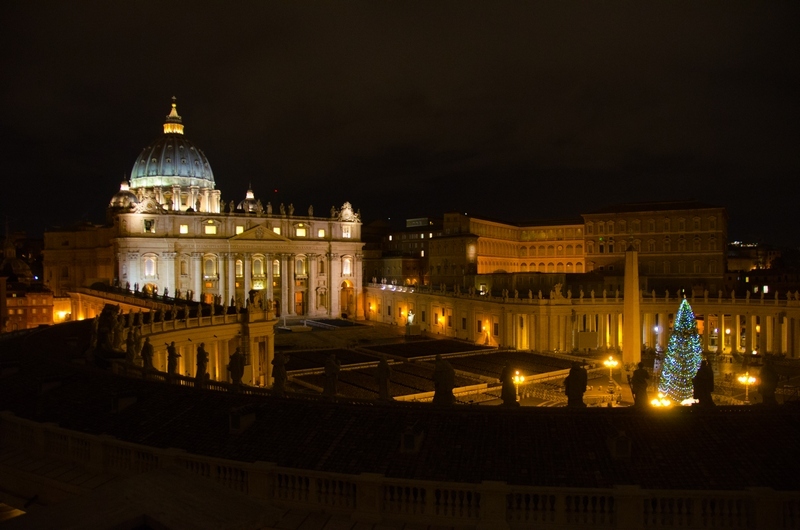 The program also plans to visit the international reowned Roman artist Massimo Catalani, a former Architect. 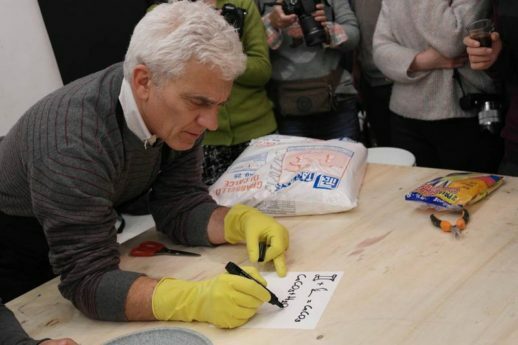 He will cook a delicious Roman lunch inside his art studio and show his secret techniques of marble painiting. 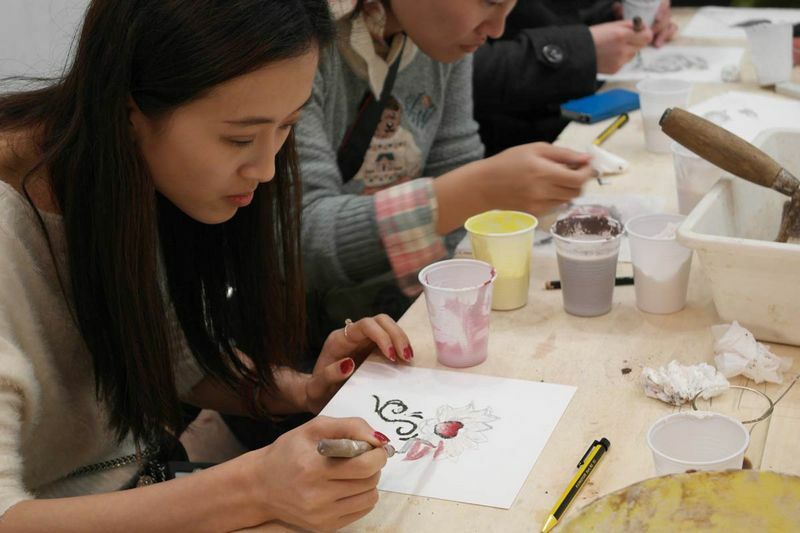 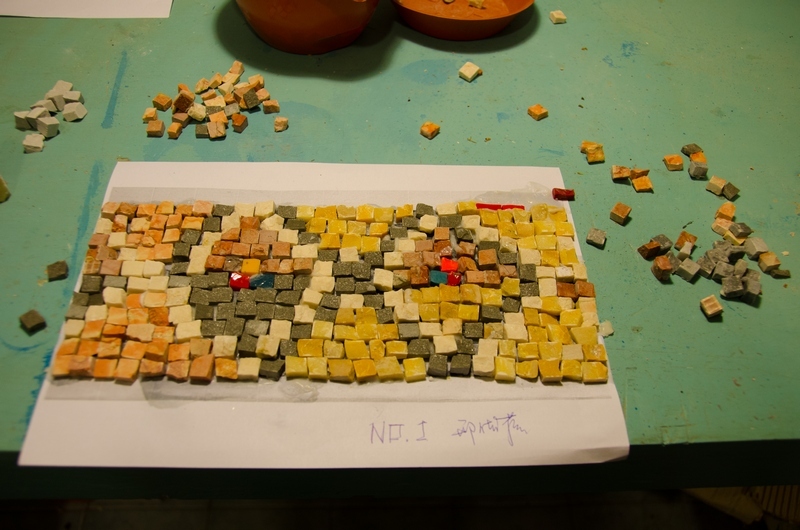 We also plan a visit a traditional ceramic workshop. 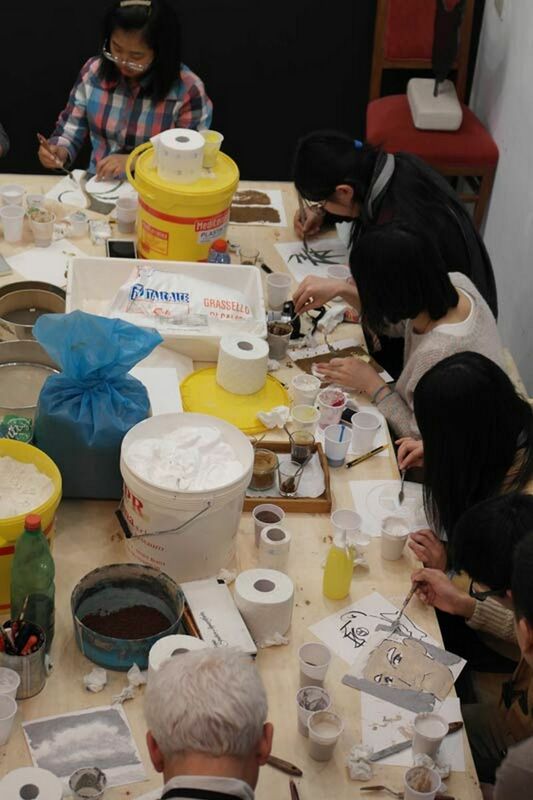 Italian techniques of pottery will be explained through various demonstrations of ceramic processes: hand building, throwing, trimming, decorating, study and application of glazes and the various firing techniques (majolica, raku, high temperature, salt & soda, wood, etc). These are unique opportunities for the students to experience Roman artist + hand-craft workshops. 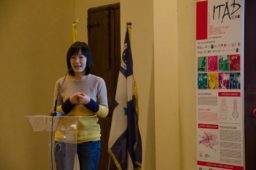 PechaKucha (Japanese: ペチャクチャ, chit-chat) is a presentation style in which 20 slides are shown for 20 seconds each. The format, which keeps presentations concise and fast-paced, powers multiple-speaker events called PechaKucha Nights. 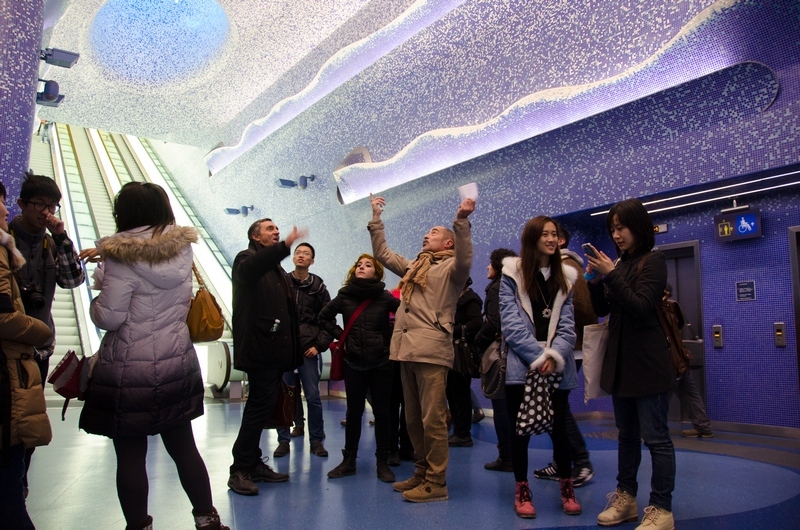 These events began in February 2003 by Tokyo’s Klein-Dytham Architecture, as a way to attract people and to allow young designers to meet, show their work, and exchange ideas. As of June 2012, PechaKucha Nights were held in 534 cities worldwide. 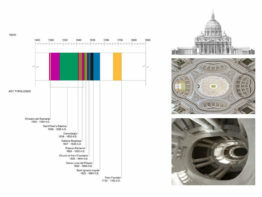 Well-known presenters at PechaKucha Nights have included the architects Jun Aoki, Toyo Ito,Rem Koolhaas, designers such as Tom Dixon, Ron Arad and Thomas Heatherwick. 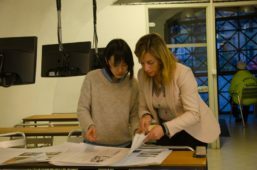 However, the success of each presentation relies purely on the presenter’s personality and the strength of her or his ideas; the format places young designers and students on the same footing as global stars. A Pecha Kucha event will be organised for the course and all the students will be invited to assist to the presentations, following a social networking evening with young Italian designers and guest speakers. 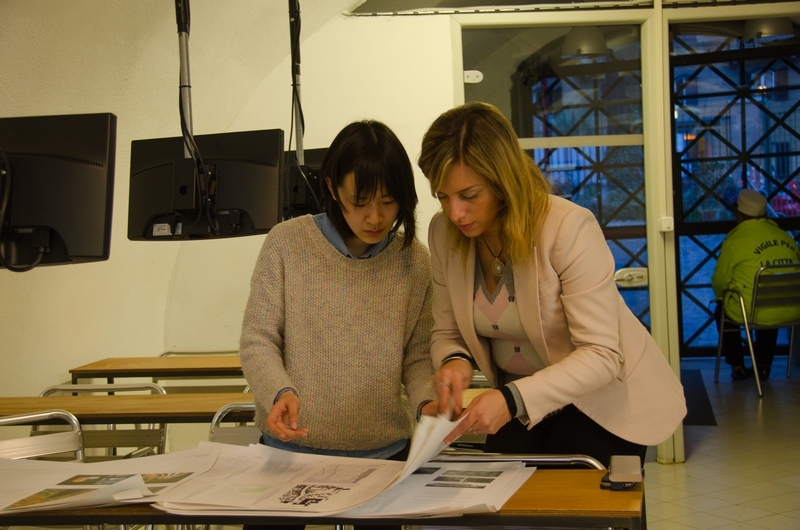 It will be a great opportunity to meet local designers, to share ideas and to make new friends! 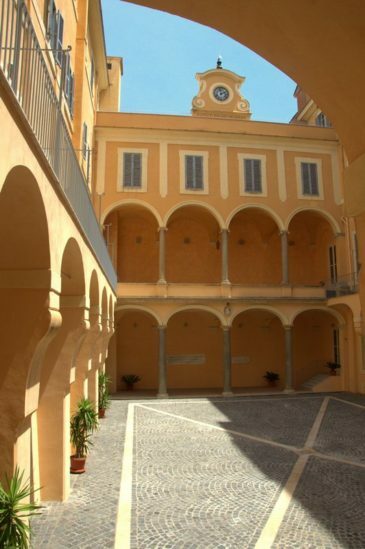 Day-trip 1 is in Naples, where the University Federico II will welcome us and make a special presentation and lecture for the course. 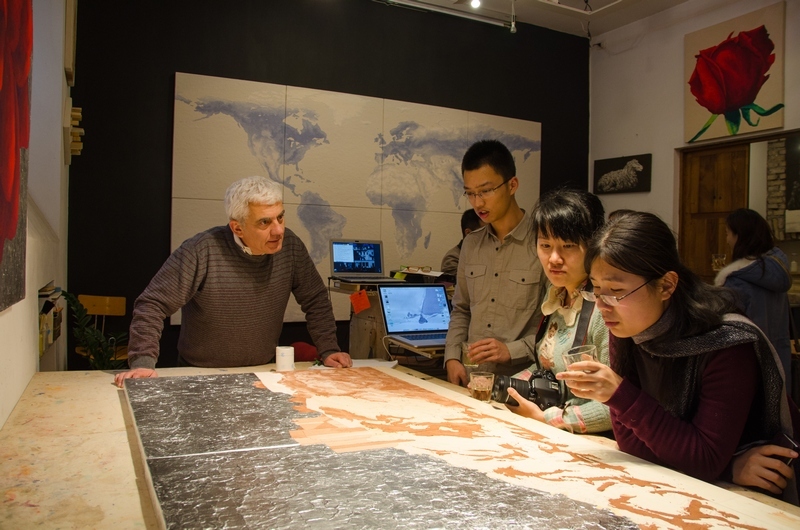 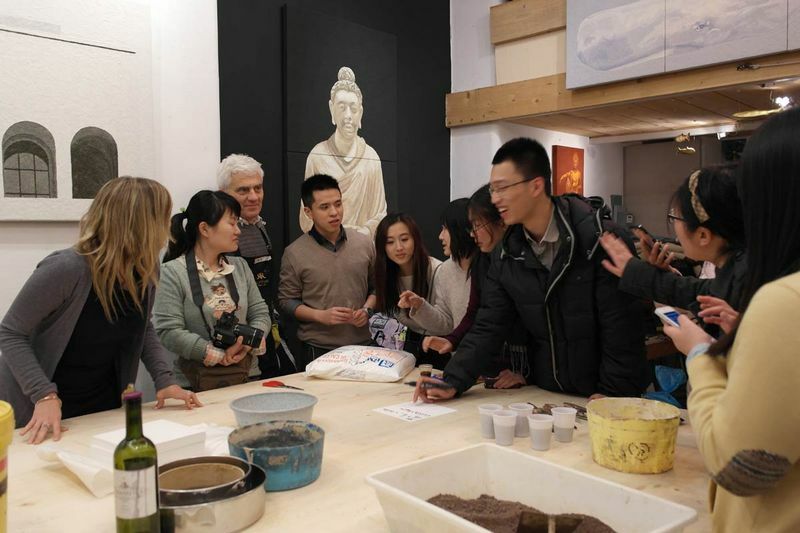 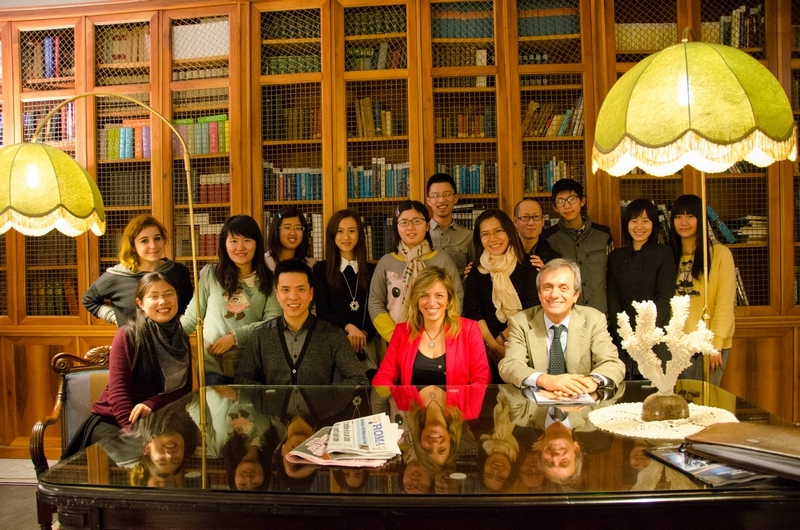 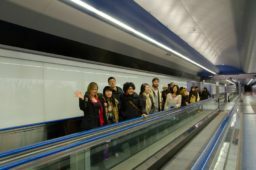 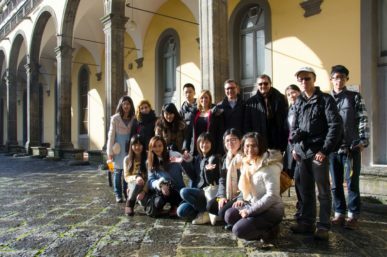 It will then be followed by a stroll through the historic city accompanied by famous professors of design and history of architecture.In Aquila, the Architects of Aquila Institute will also welcome Shanghai-Rome School and make a visit of the 2009 earthquake result of G8 summit. 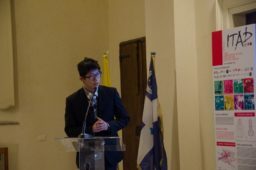 International disaster funds have been distributed to the affected region and to show solidarity with the city’s inhabitants. 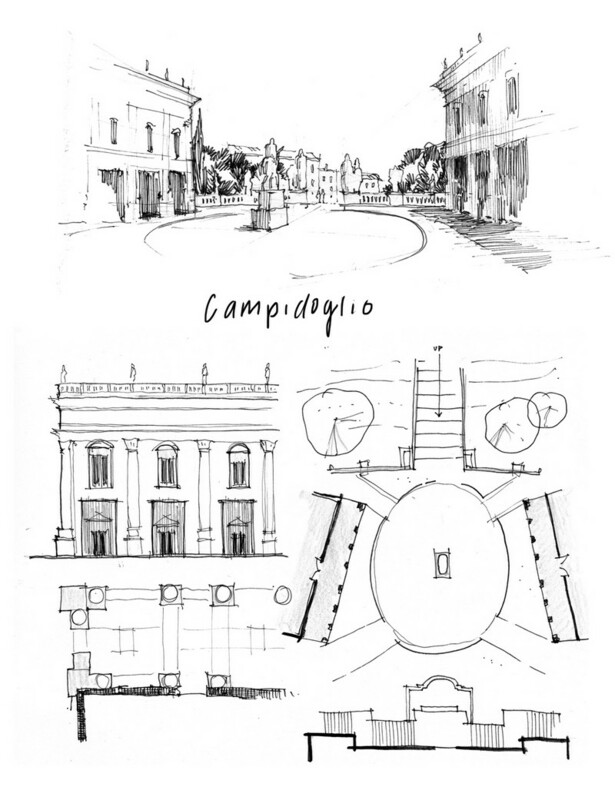 World leaders converged on L’Aquila on July 8 and many of them were given tours of the devastated city by the host Prime Minister. We will make the same tour! 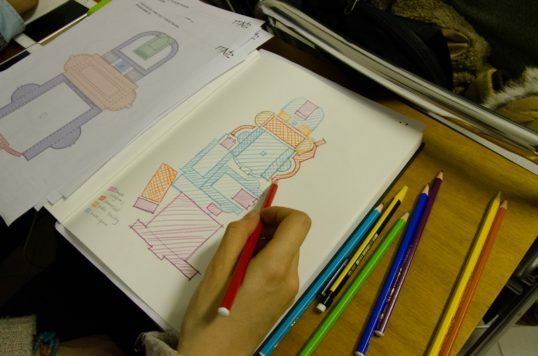 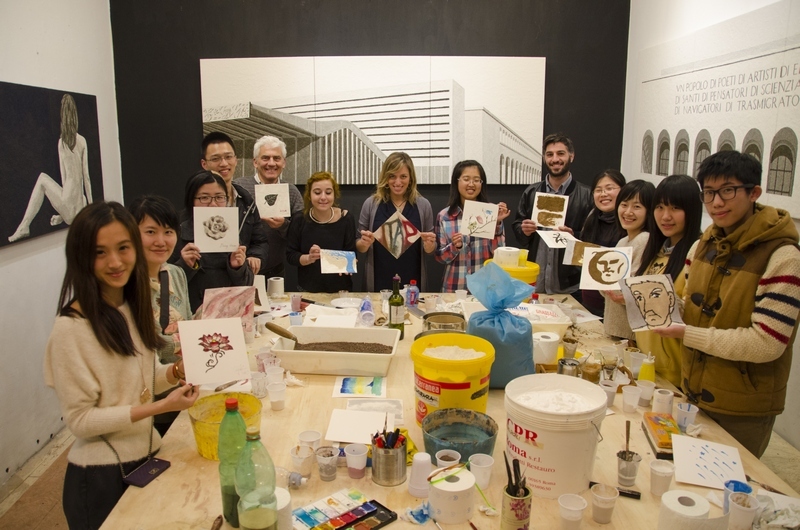 A fantastic social program is provided parallelly to the drawing courses on a daily basis. 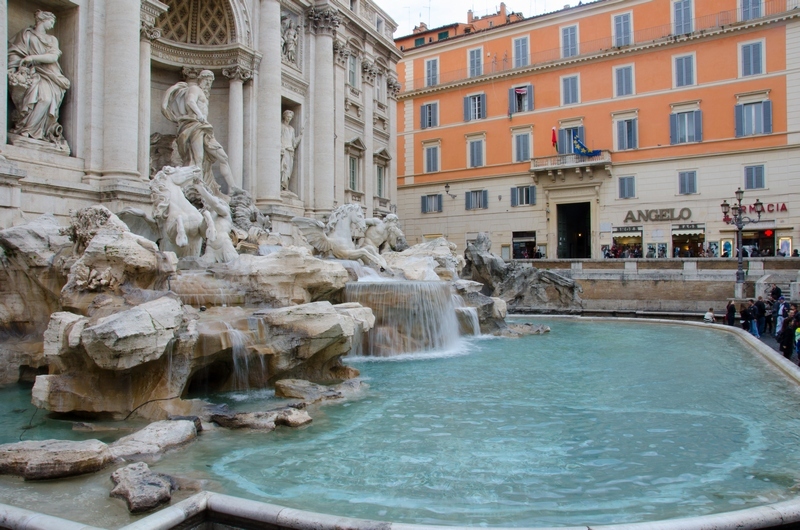 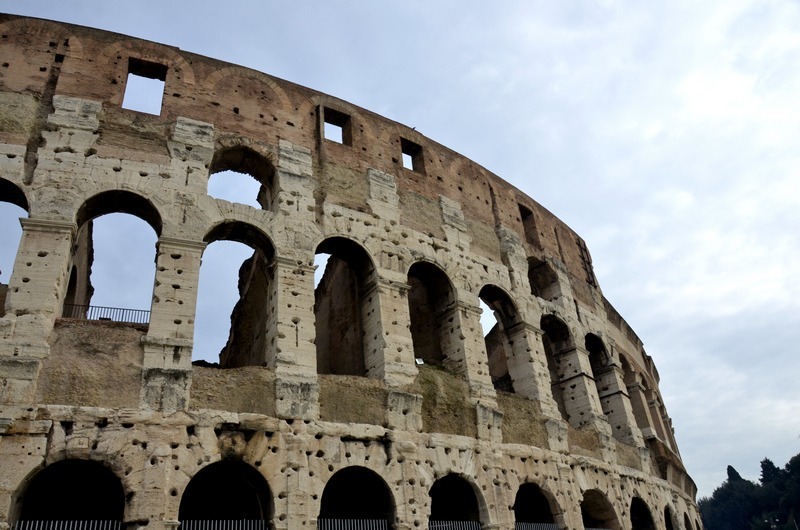 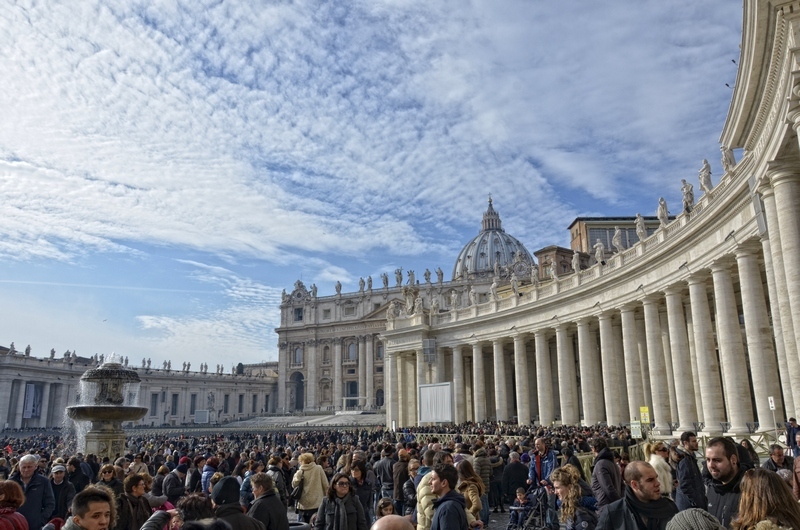 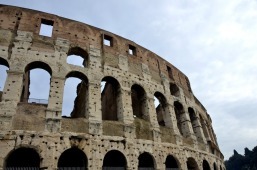 The students will have the opportunity to discover as much of Italian culture as possible, as well as thoroughly enjoy their time in Rome making great memories with new friends. 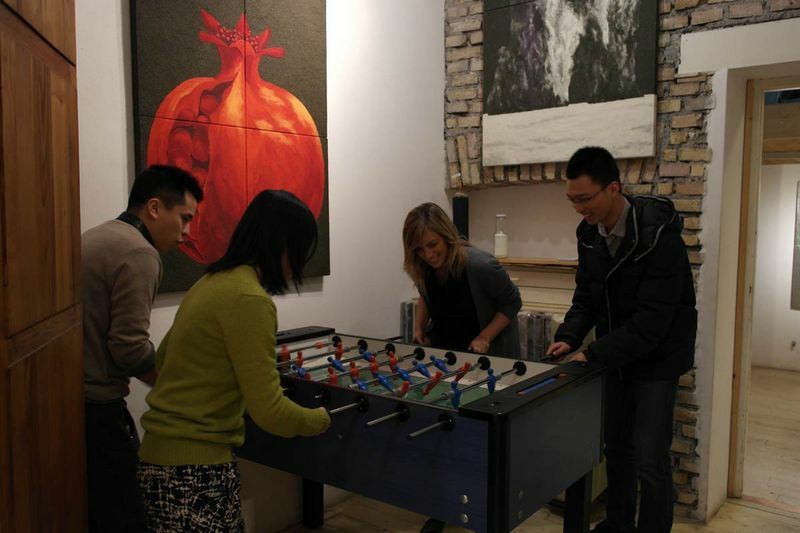 Everyday we organize at least one social event. 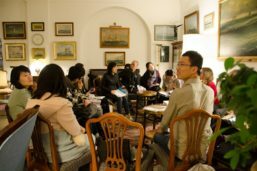 Most of them are scheduled in the afternoons or evenings, but some are between lectures. 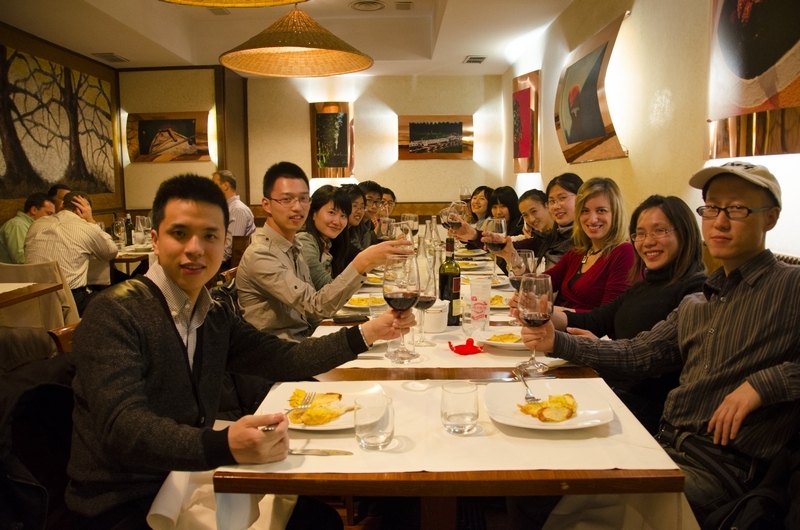 • Welcome Lunch in a traditional Roman Osteria. • Day trip – Aquila. 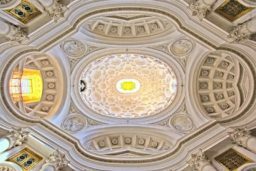 • Day trip – Naples City. 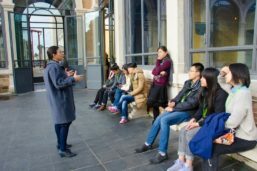 • Church service and choir outing. 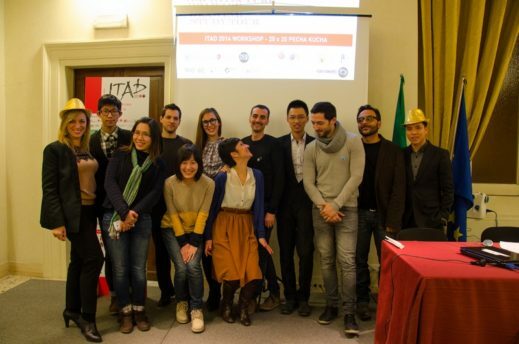 • Pecha Kucha 20×20 especially organized for Shanghai-Rome connection. 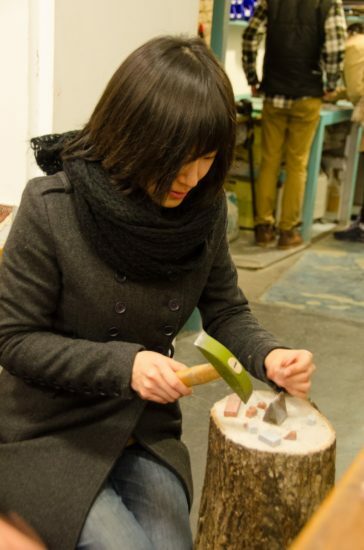 • Handicraft Pottery Artisan Visit with demonstration. 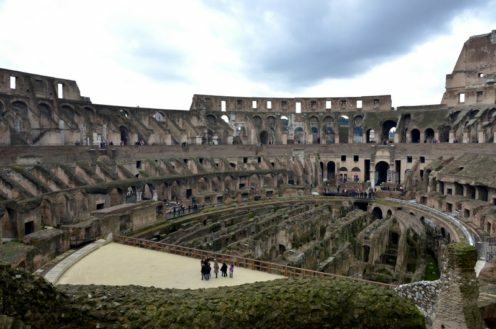 • Site-seeing of the world best sites. 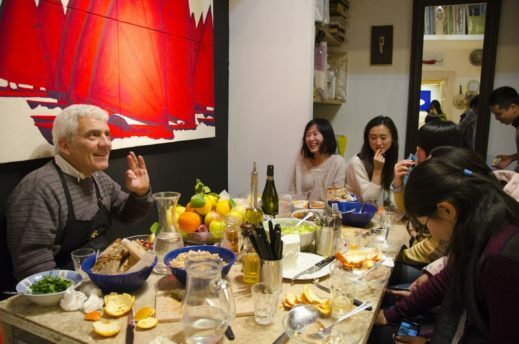 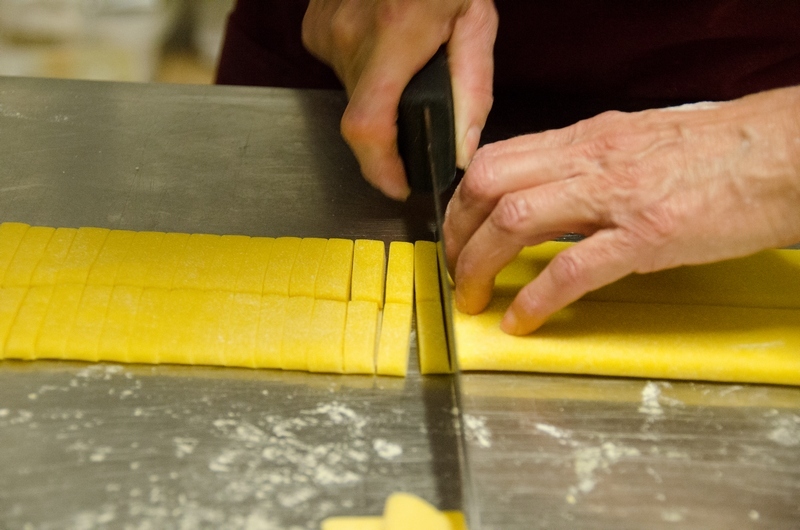 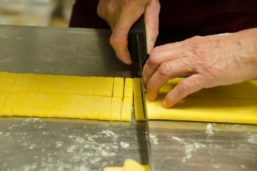 • Artist atelier visit with spaghetti cooking! 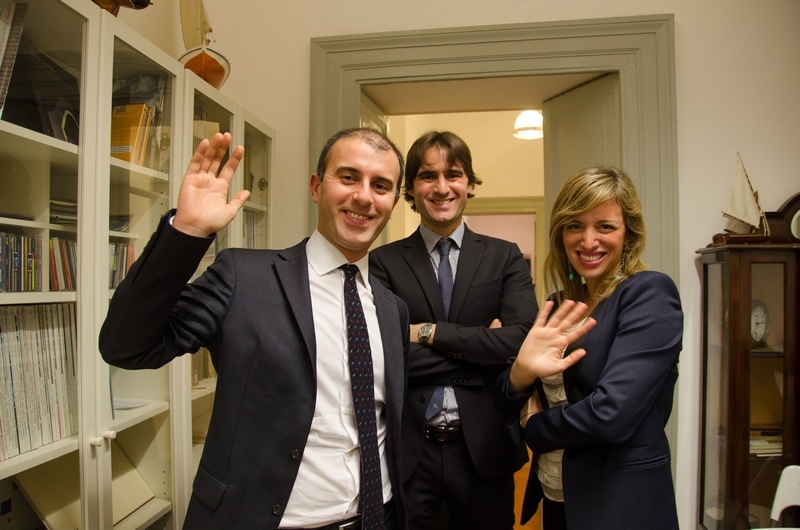 • Goodbye Party and closing cerimony.